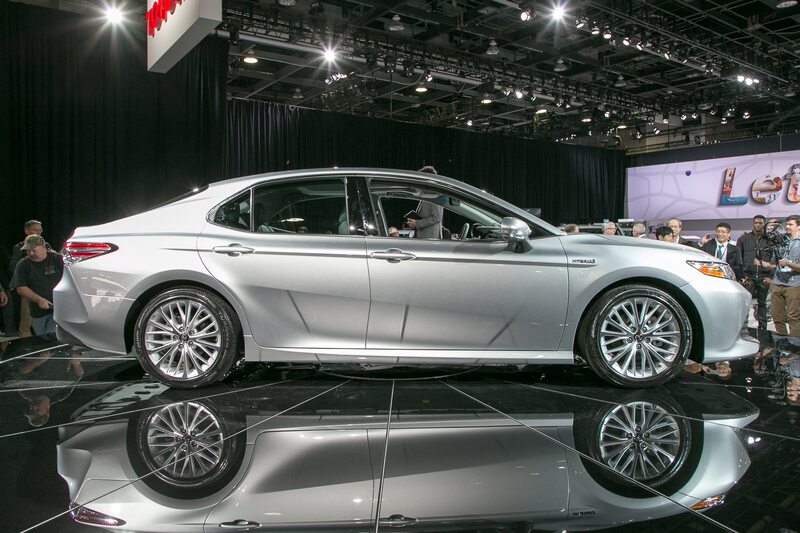 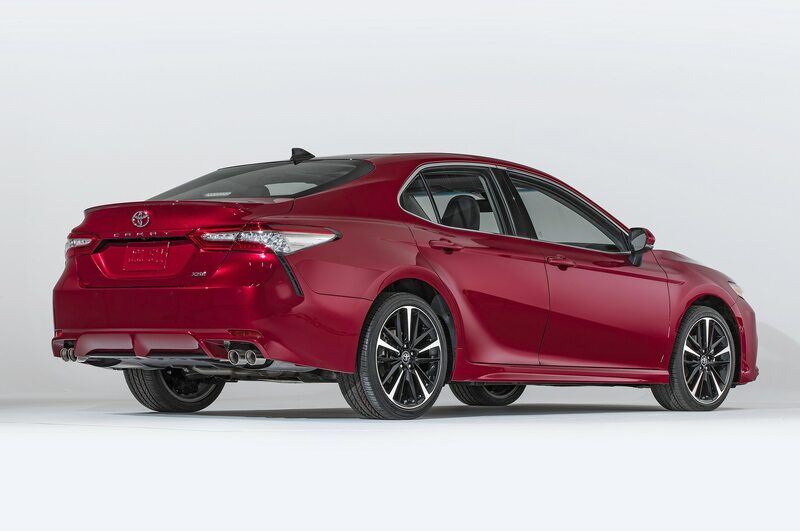 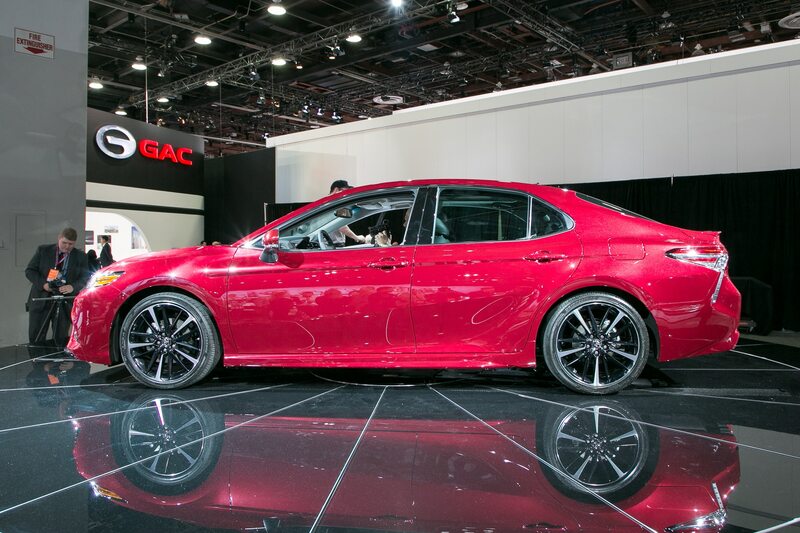 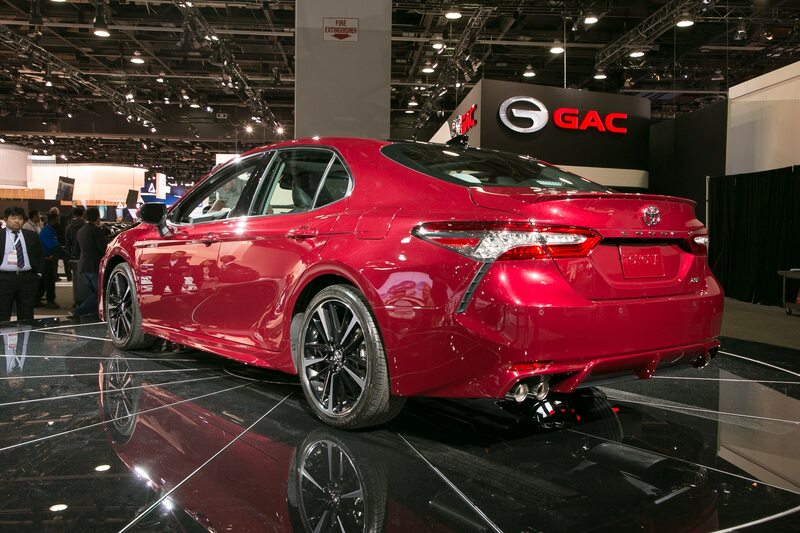 Toyota’s eighth-generation Camry has been touted as having aggressive character lines and a low center of gravity. 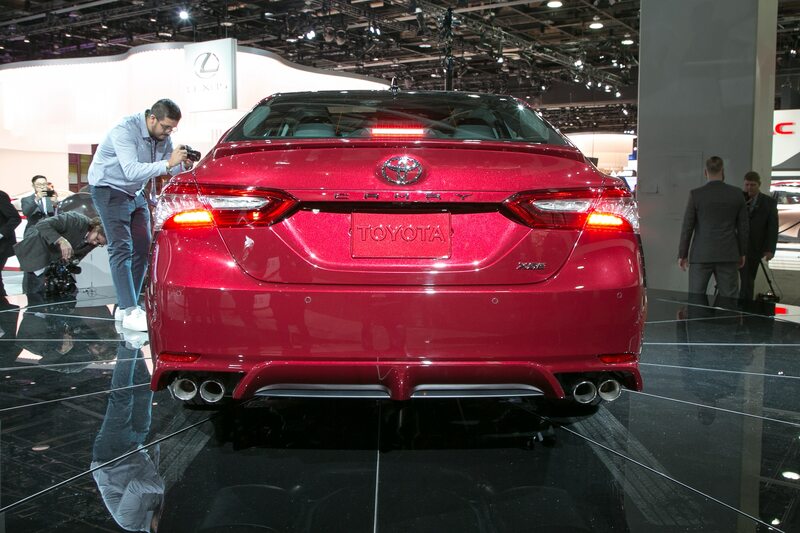 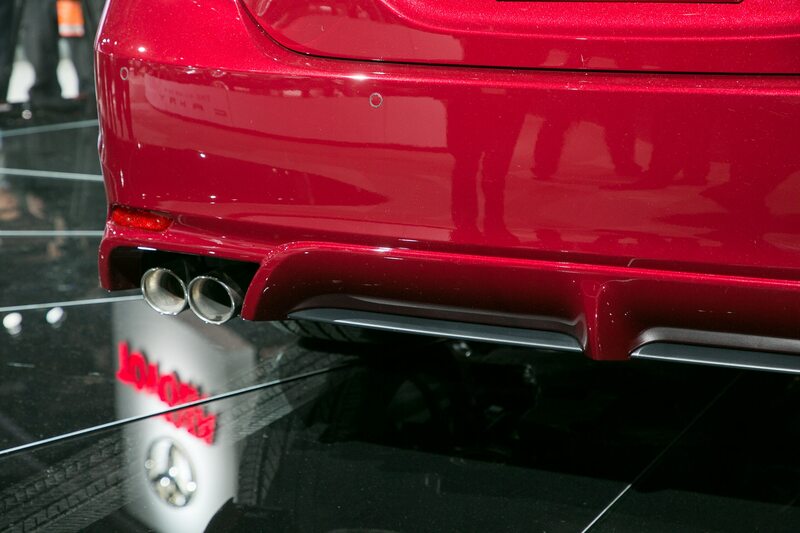 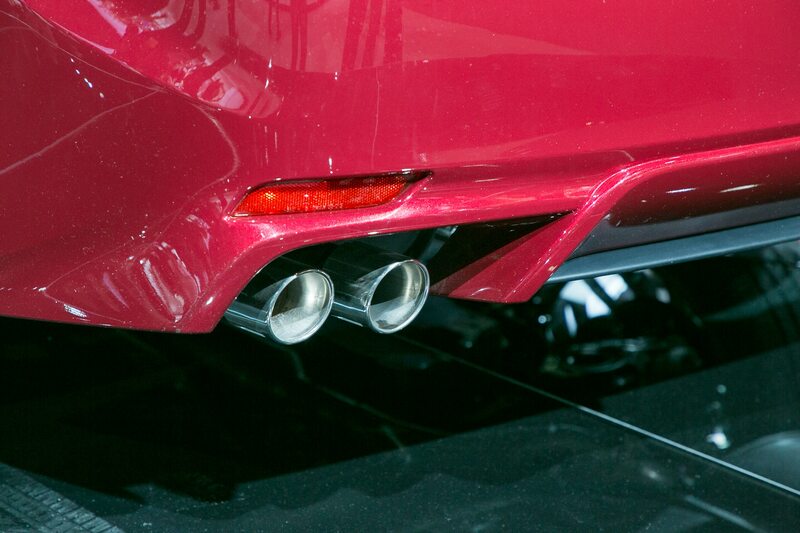 It’s wider, rides lower, and has crazy looking boomerang-like rear lights. 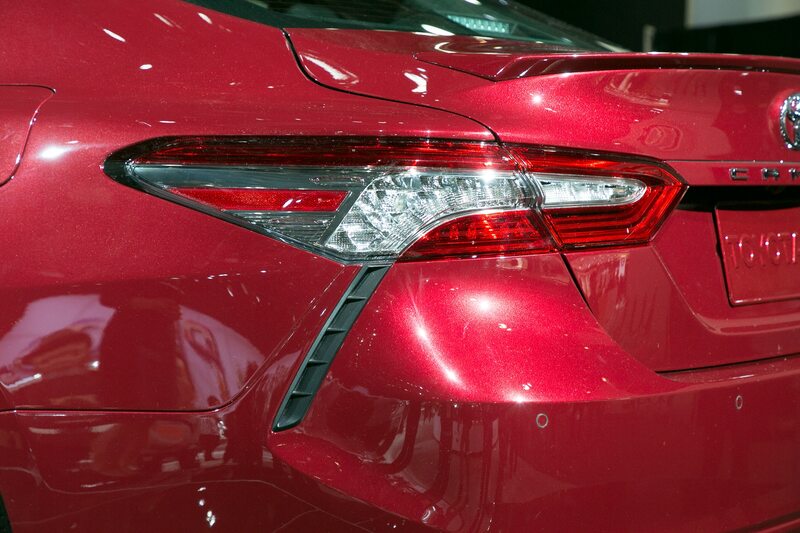 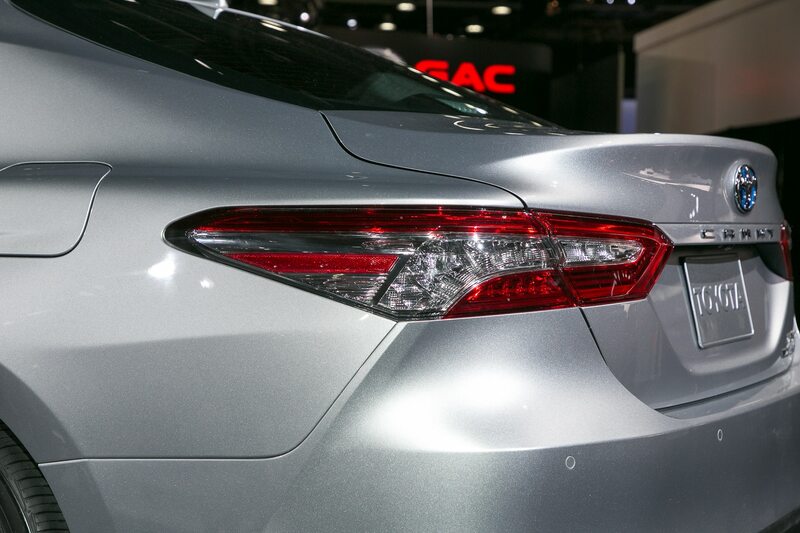 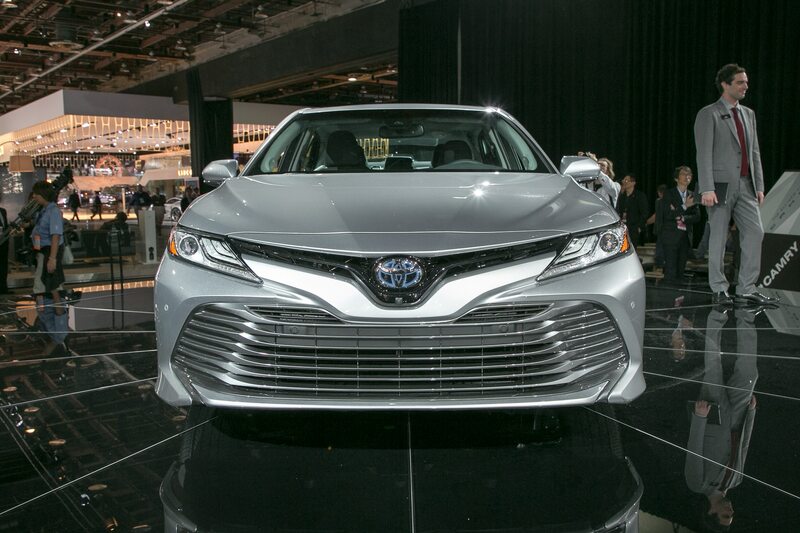 The bestselling sedan by Toyota finally pulled into the spotlight at the 2017 Detroit auto show. 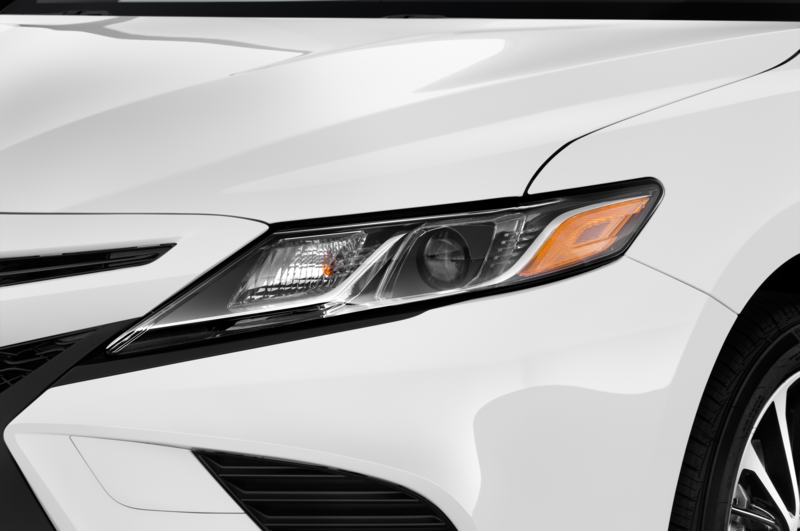 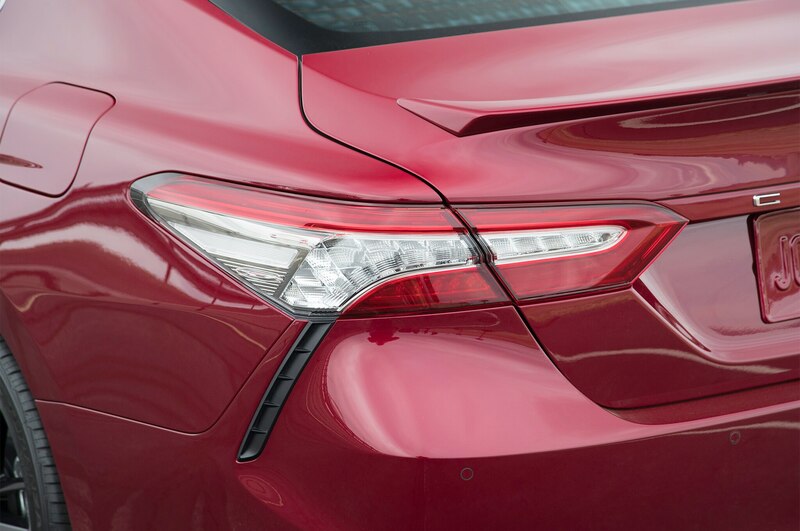 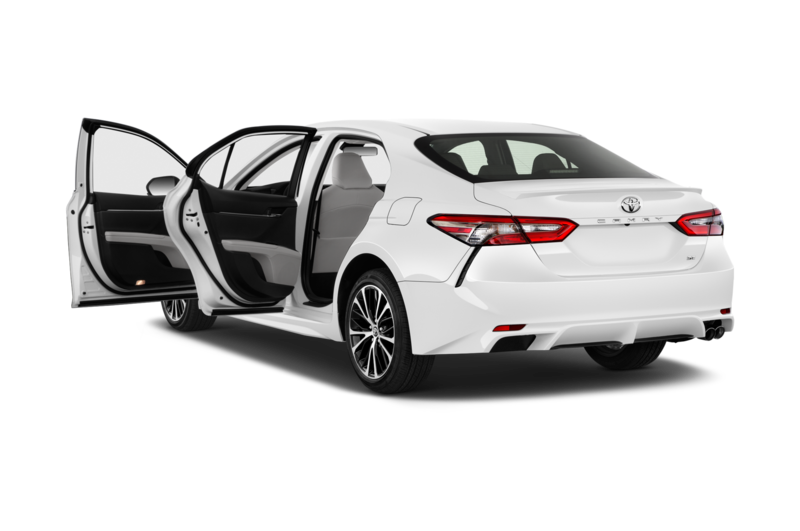 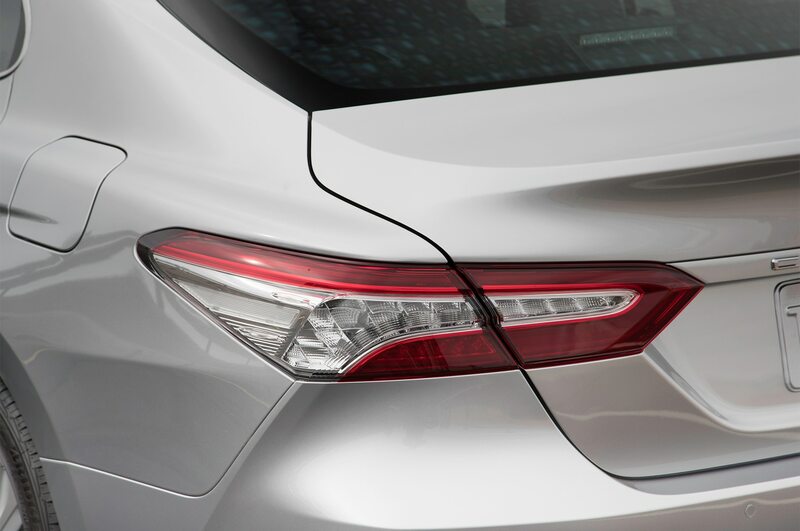 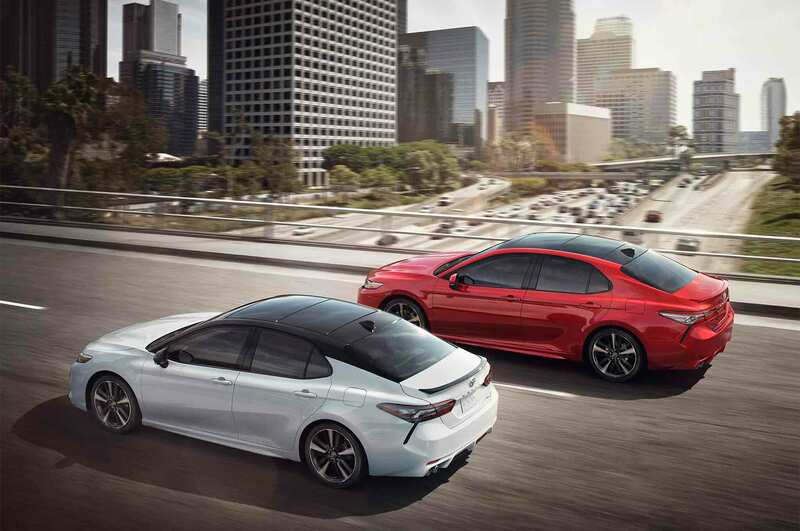 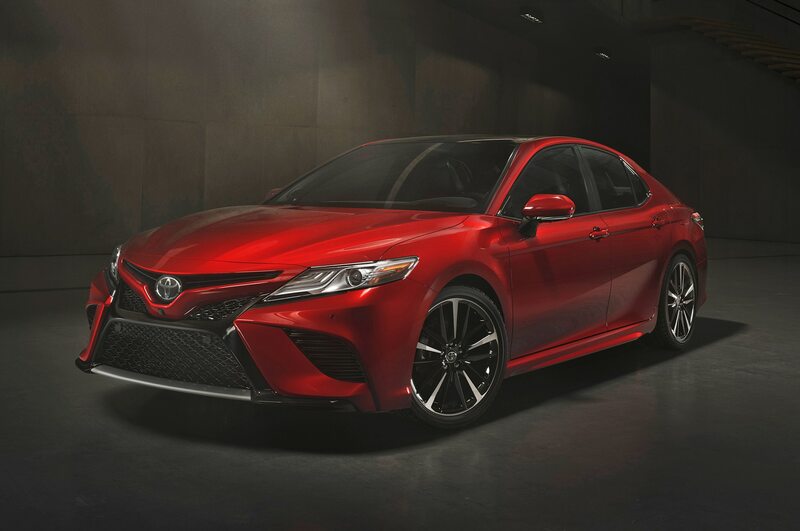 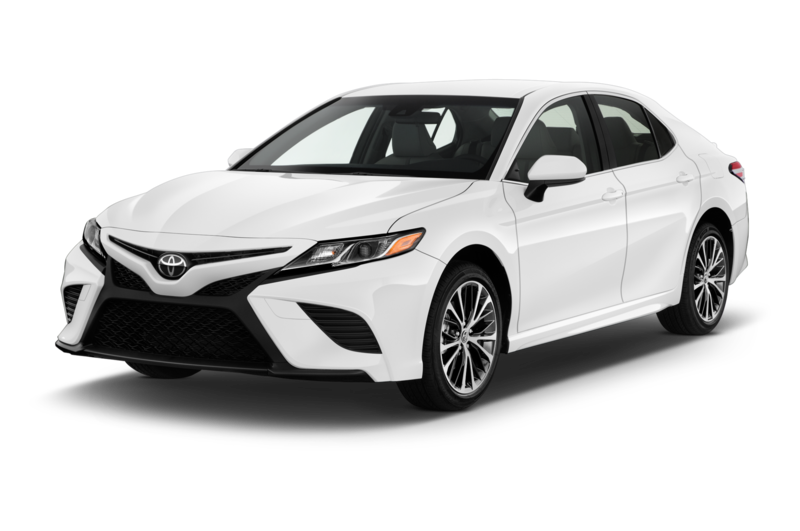 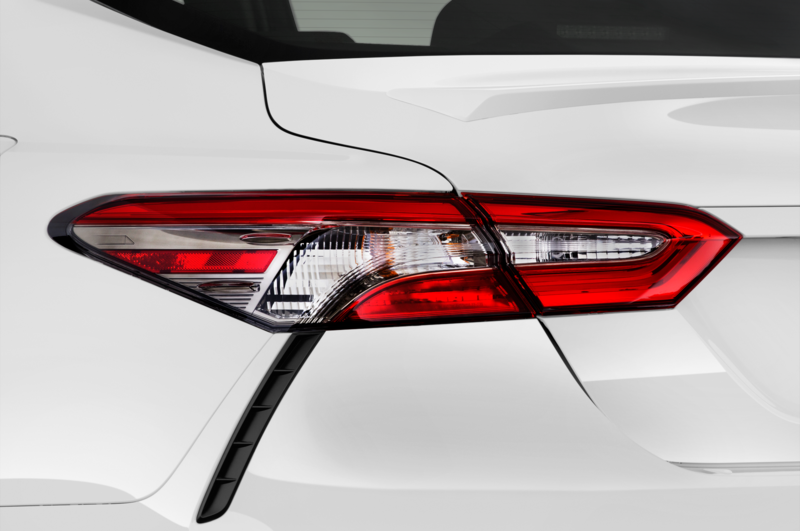 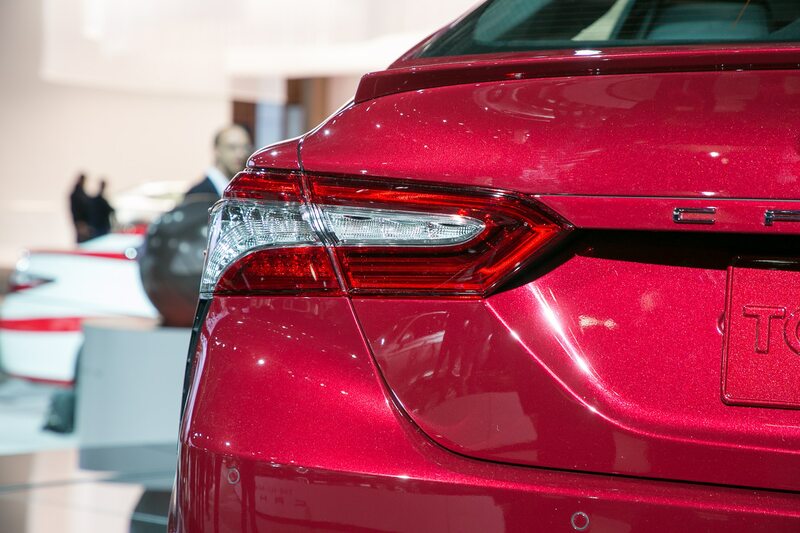 For 2018, the redesigned Camry is available in four variants: LE, XLE, SE, and XSE. 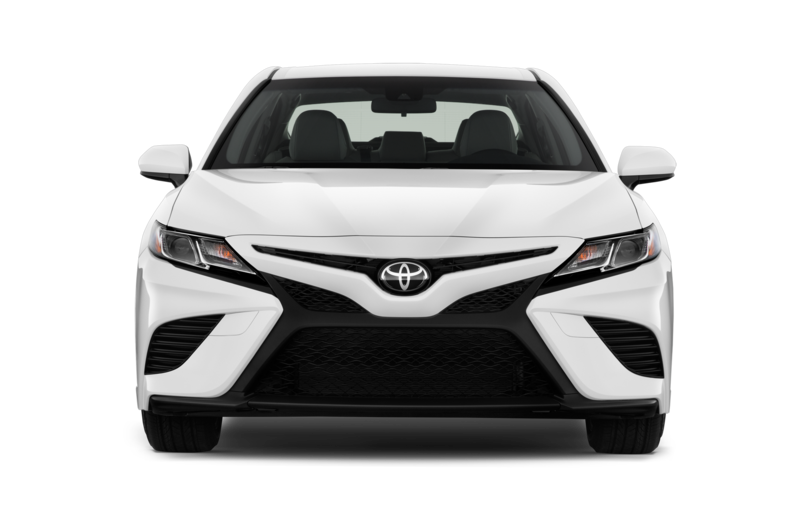 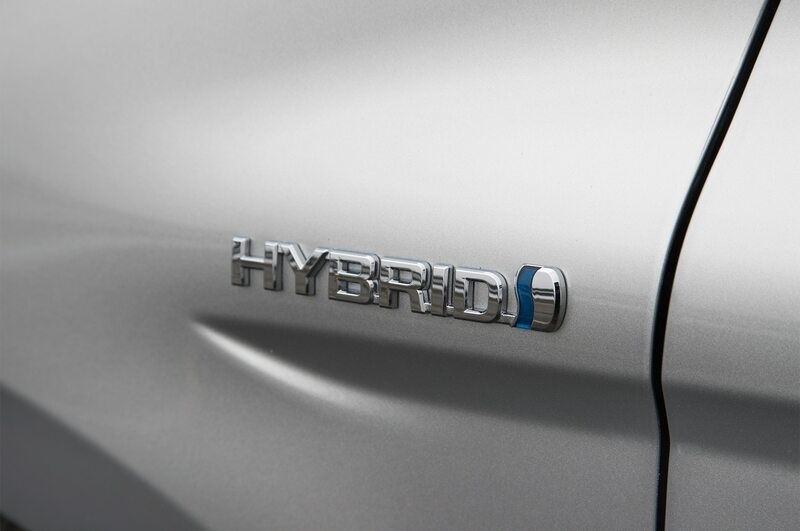 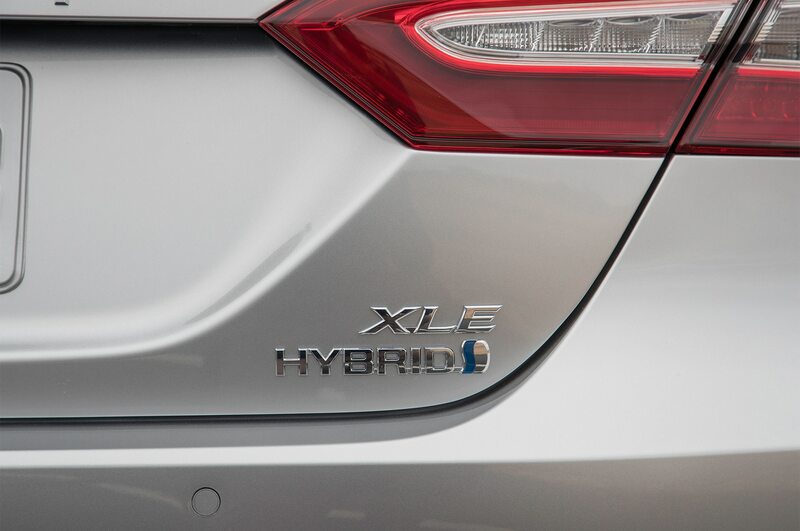 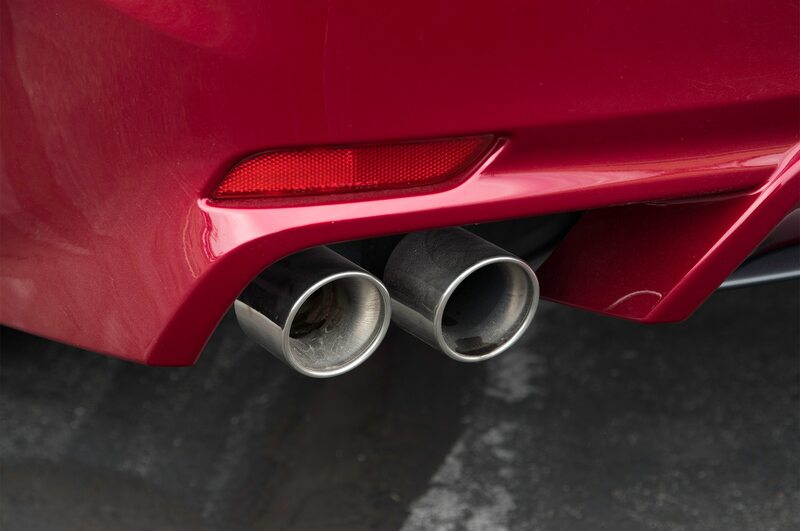 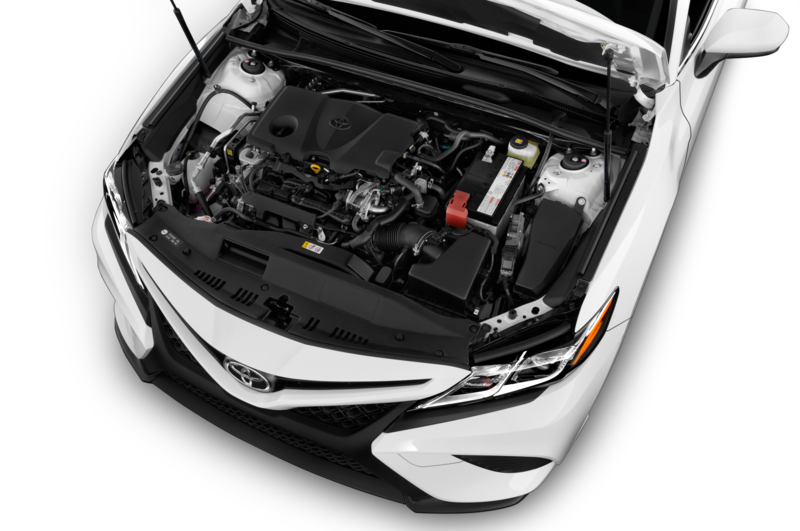 It is offered with a choice of a 2.5-liter four-cylinder, a 3.5-liter V-6 engine, or a hybrid version with a Continuously Variable Transmission (CVT). 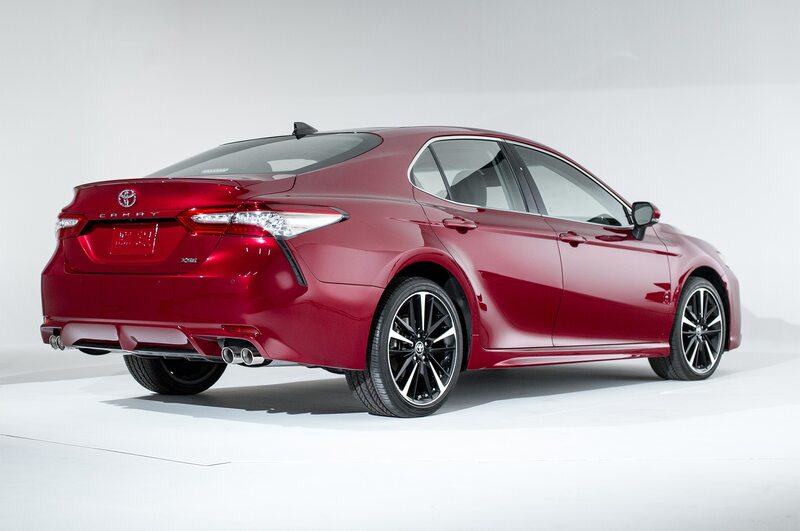 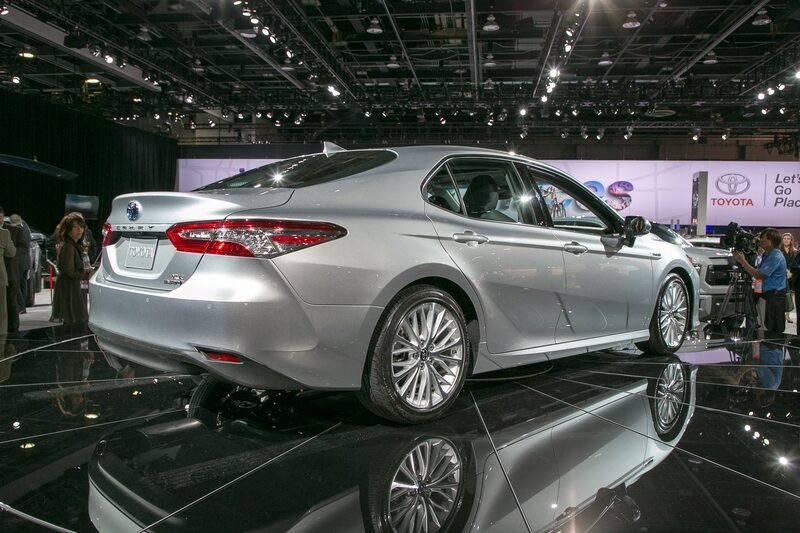 Old school gas versions get an all-new 8-speed automatic transmission and platform to boot. 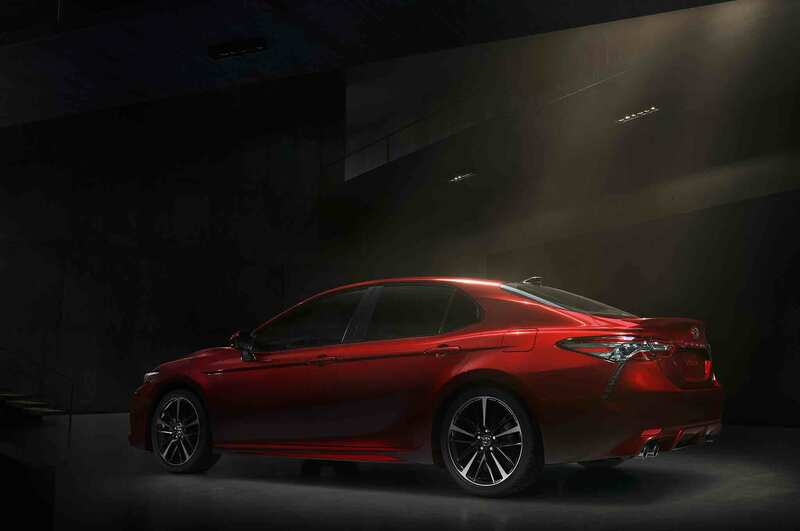 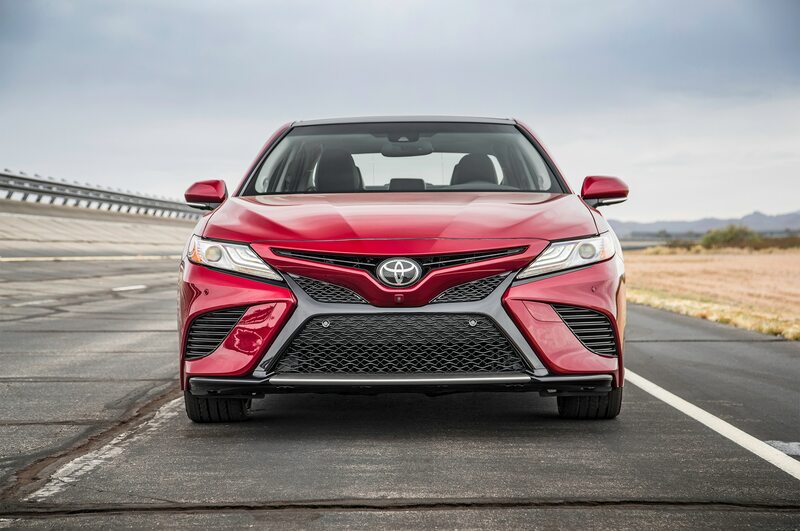 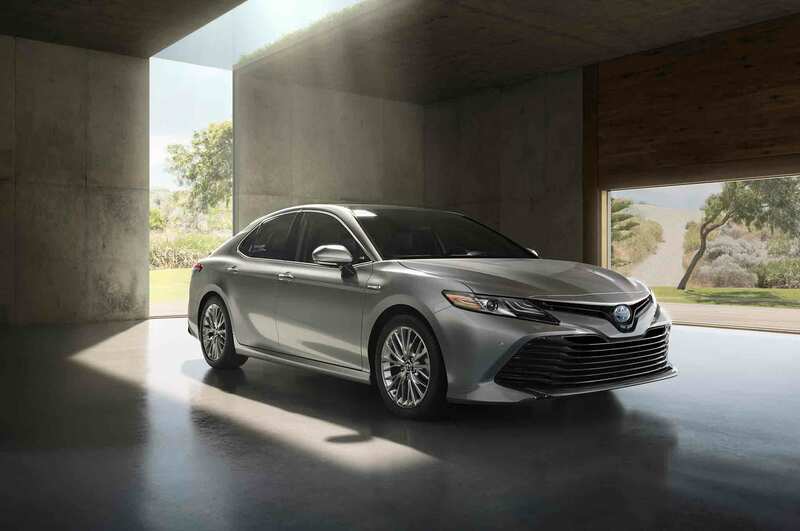 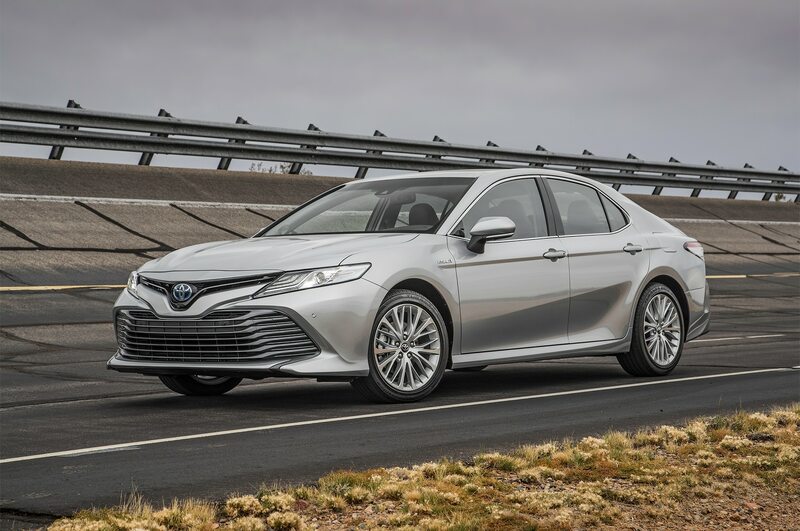 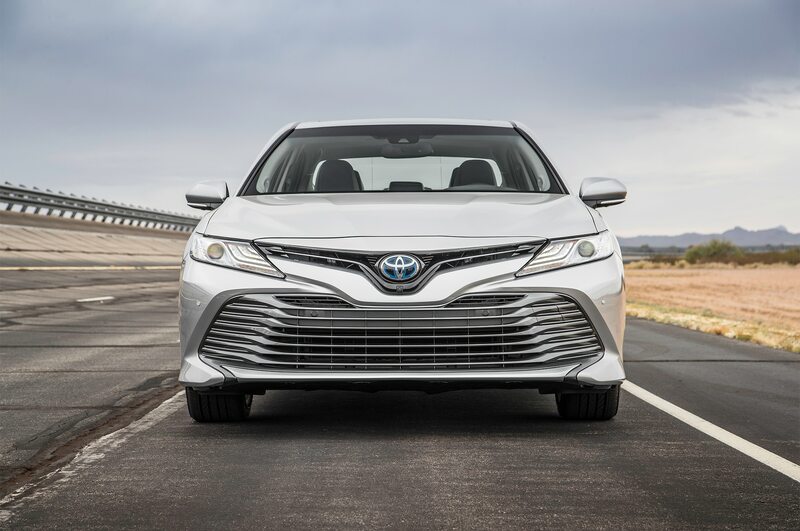 “The all-new 2018 Camry is, without a doubt, the most captivating mid-size sedan we’ve ever produced,” Bob Carter, Toyota senior veep, gushes in a statement. 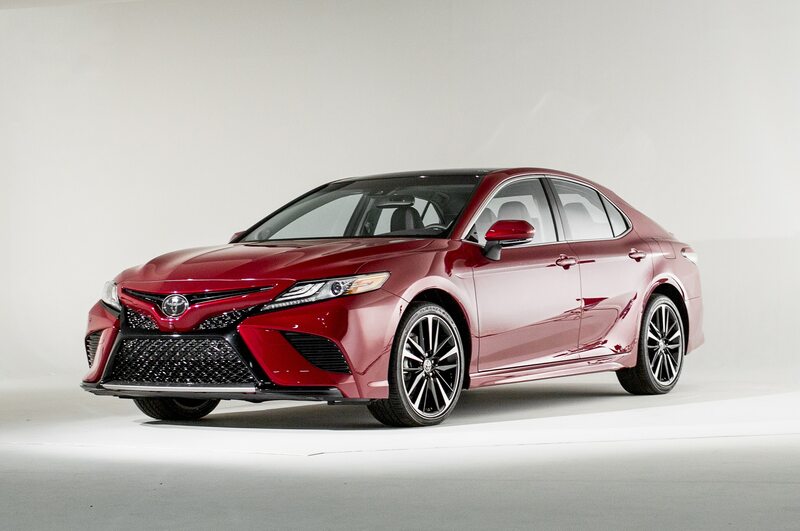 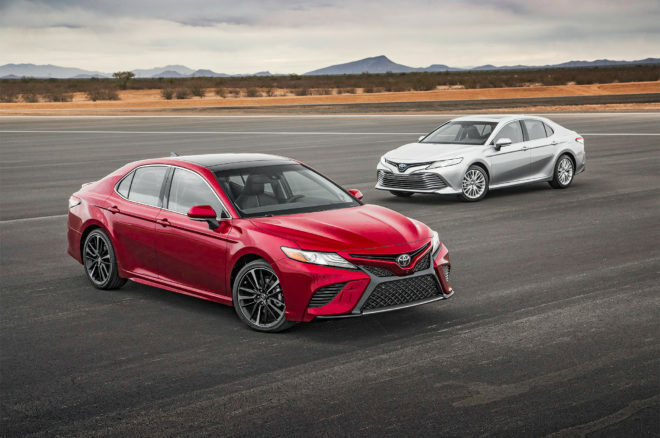 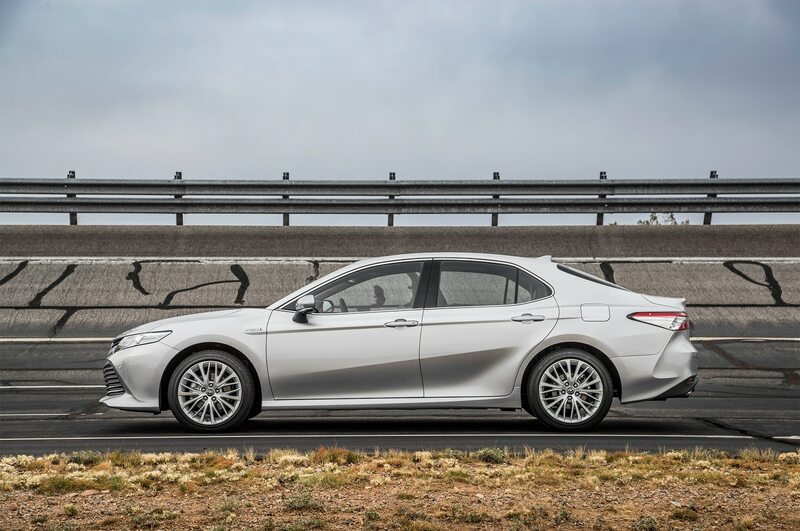 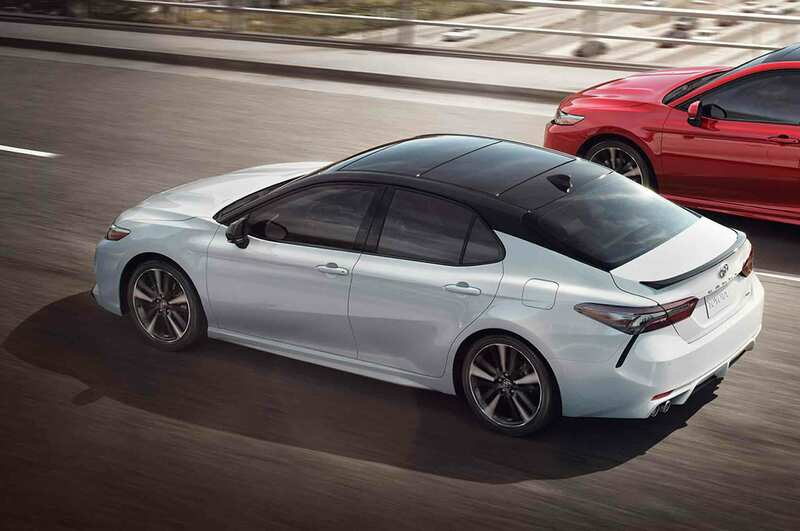 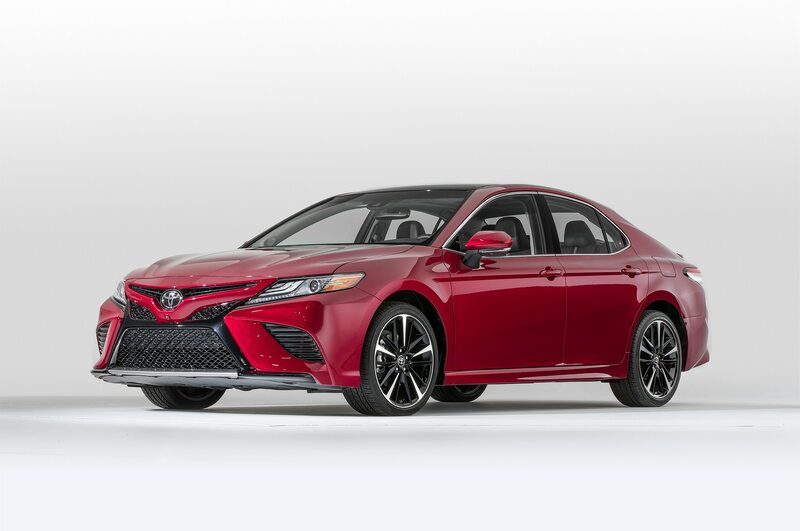 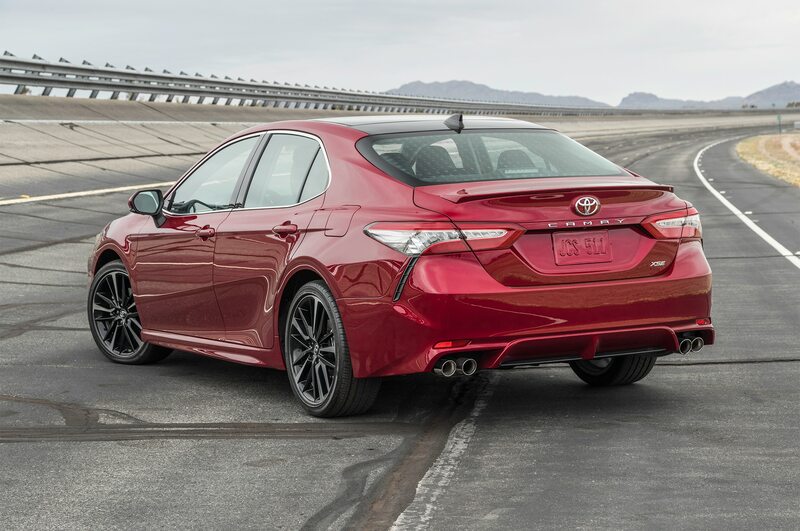 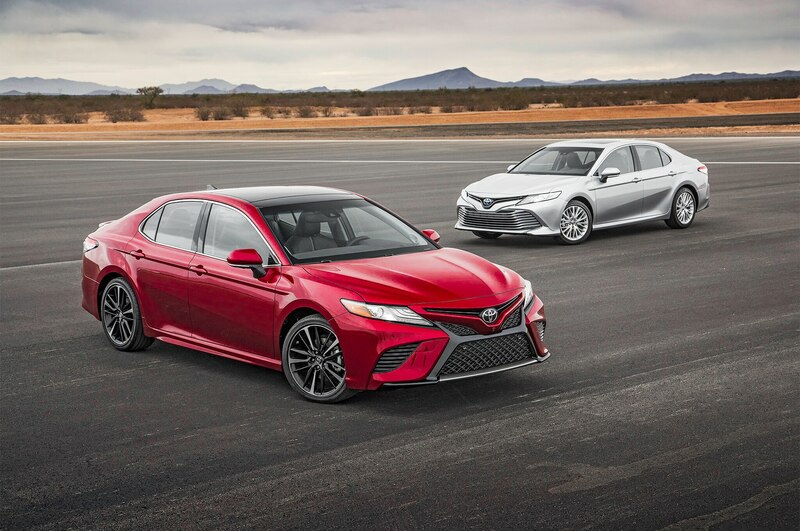 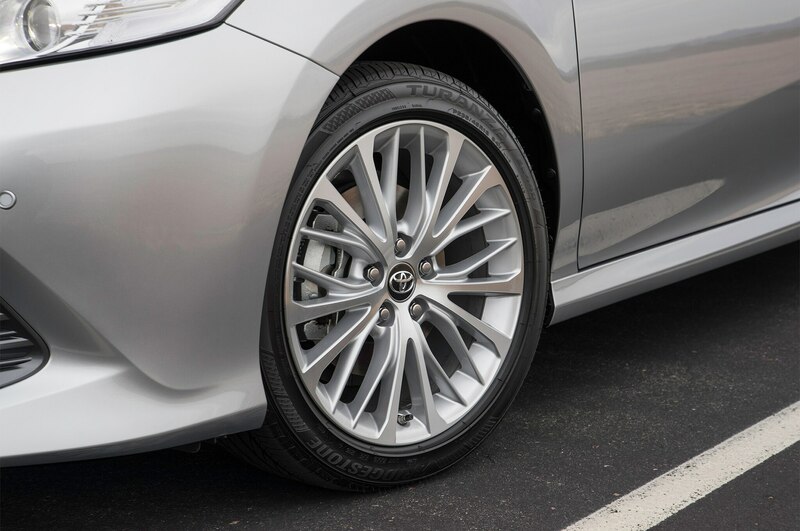 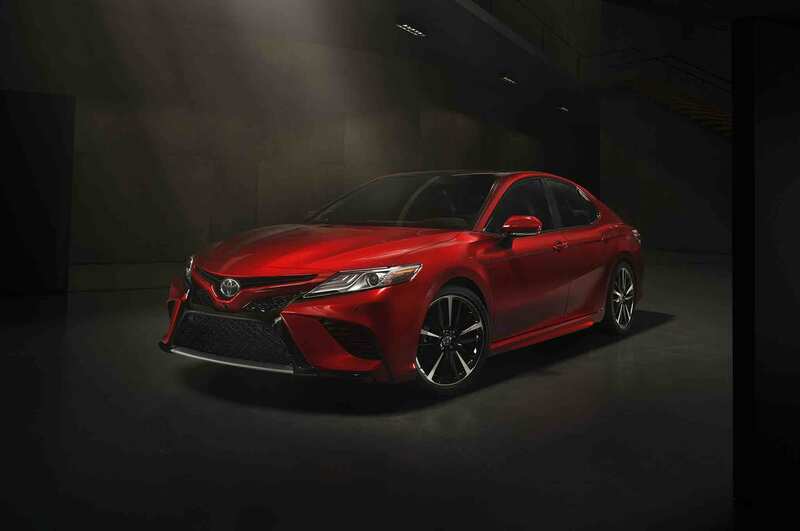 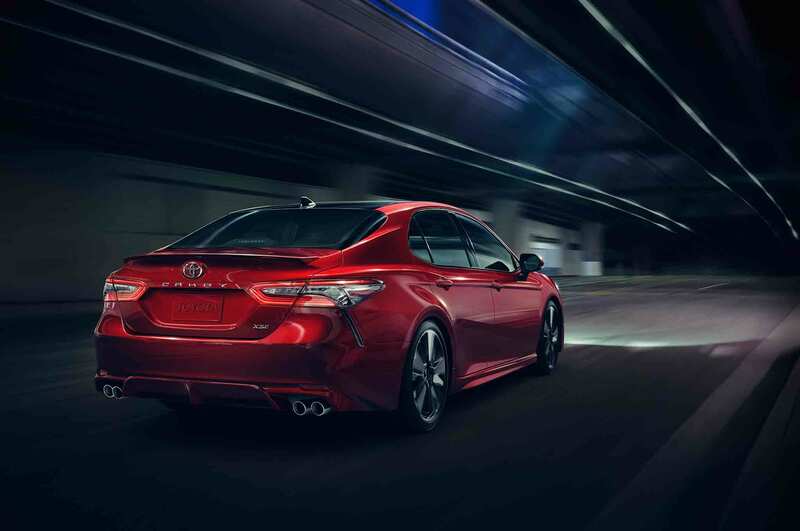 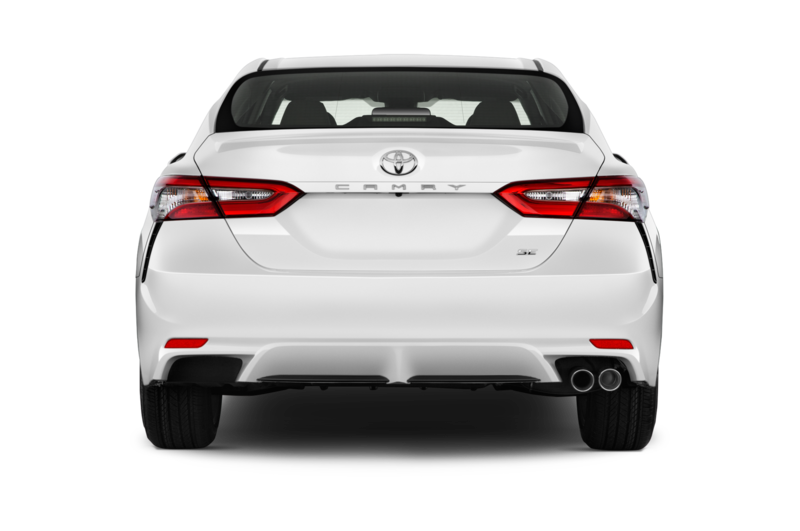 The jury is still out on the all-new design, but the Kentucky assembled Camry sports a low center of gravity and a wider stance at first glance. 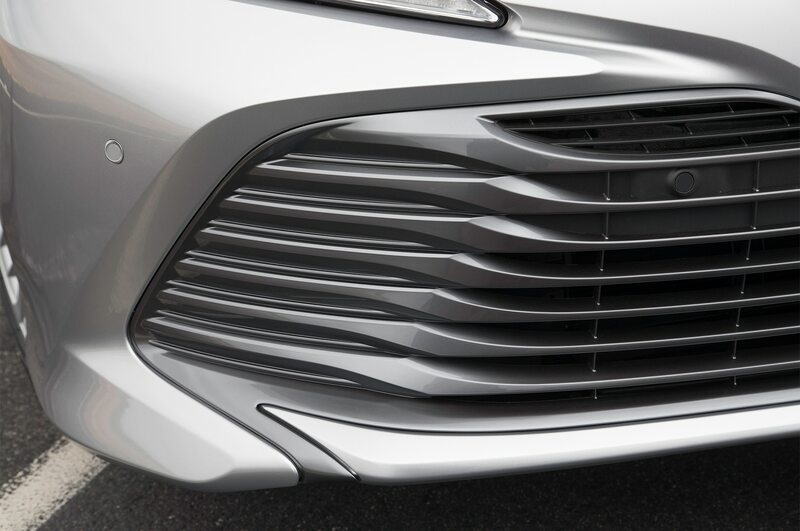 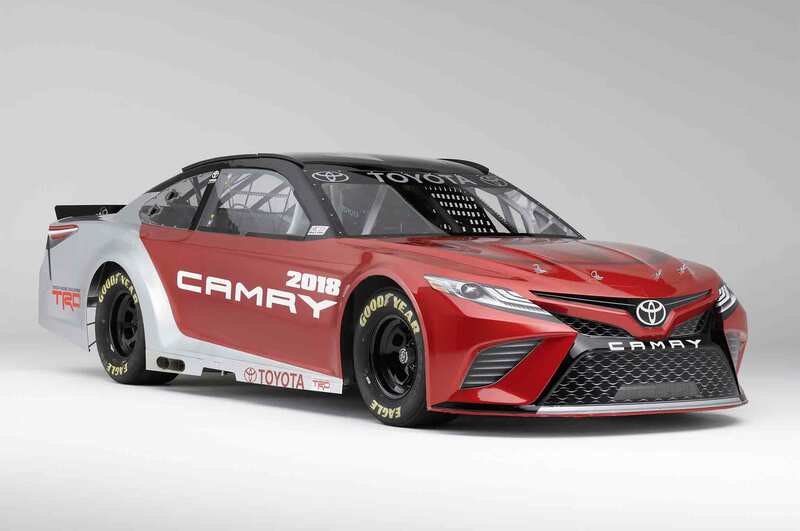 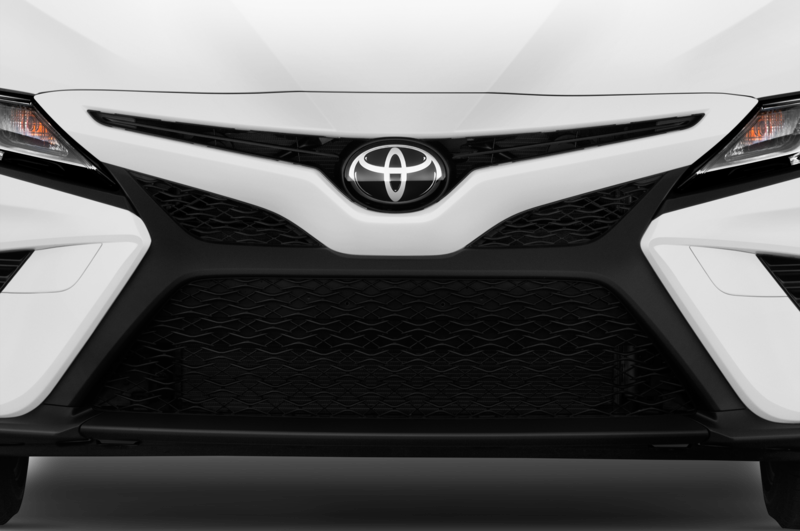 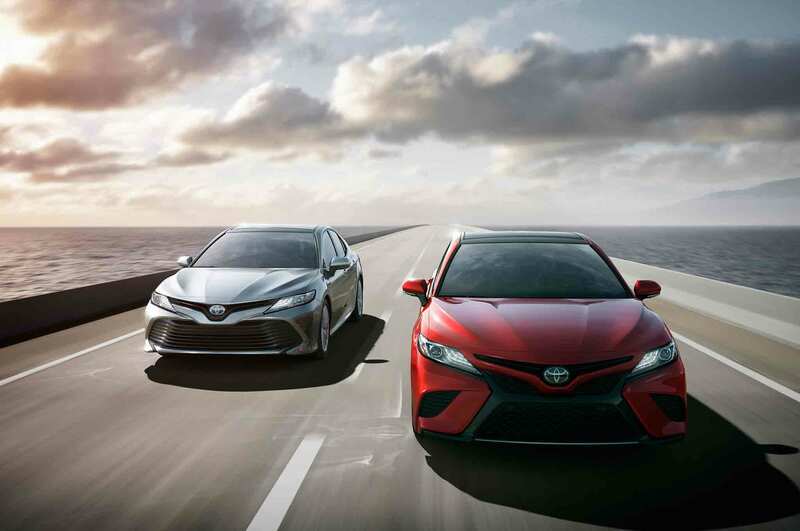 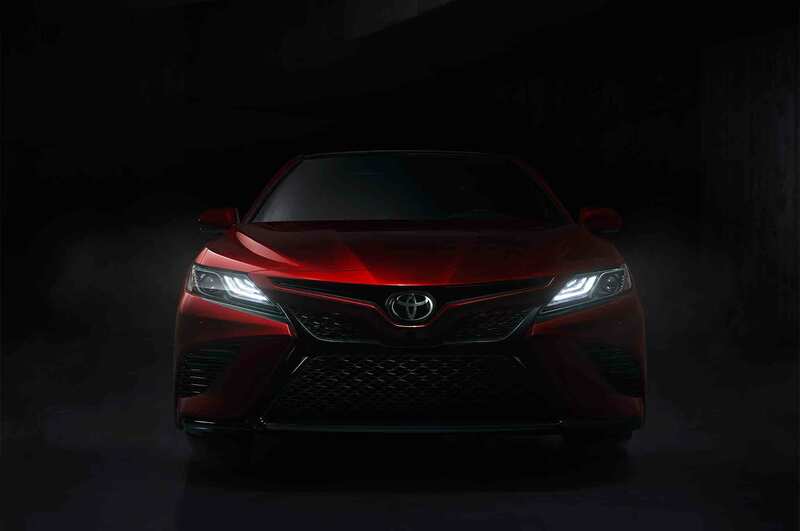 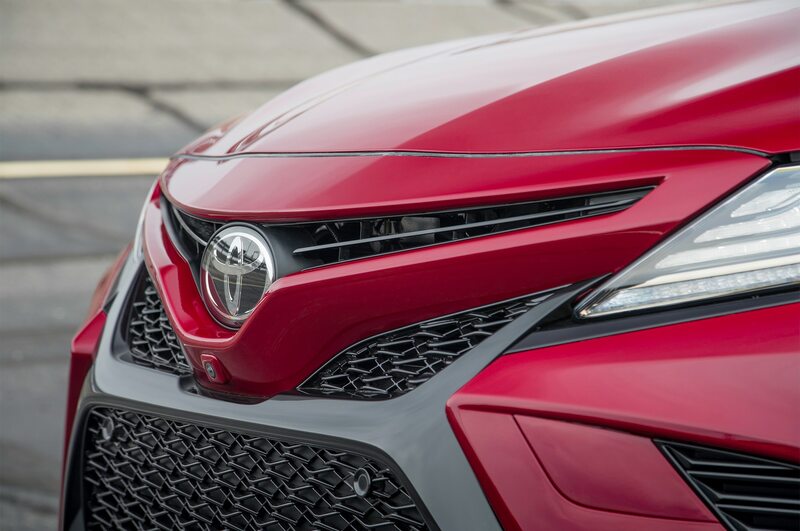 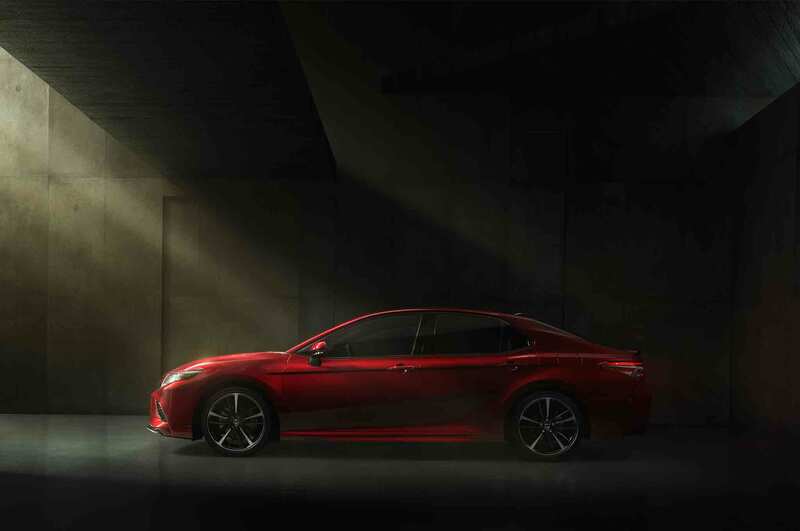 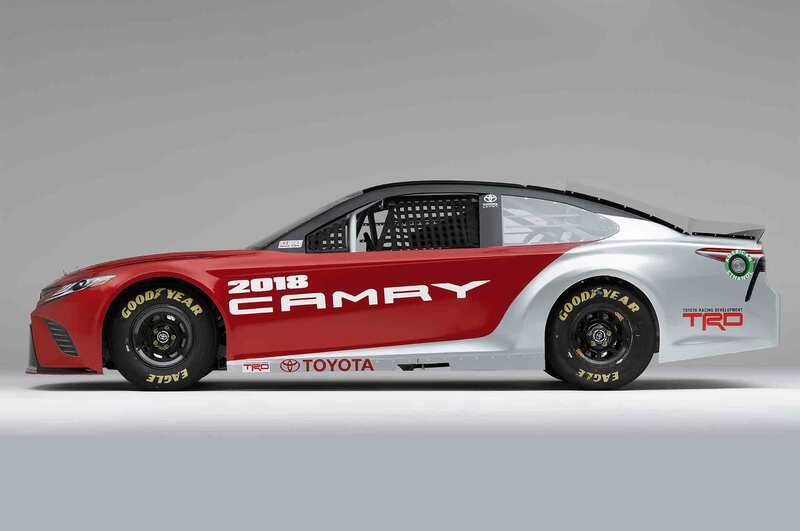 “In order to create something that stirs people’s soul, we’ve laid out the concept of a new sedan that provides fun and excitement behind the wheel,” said Masato Katsumata, Camry chief engineer. 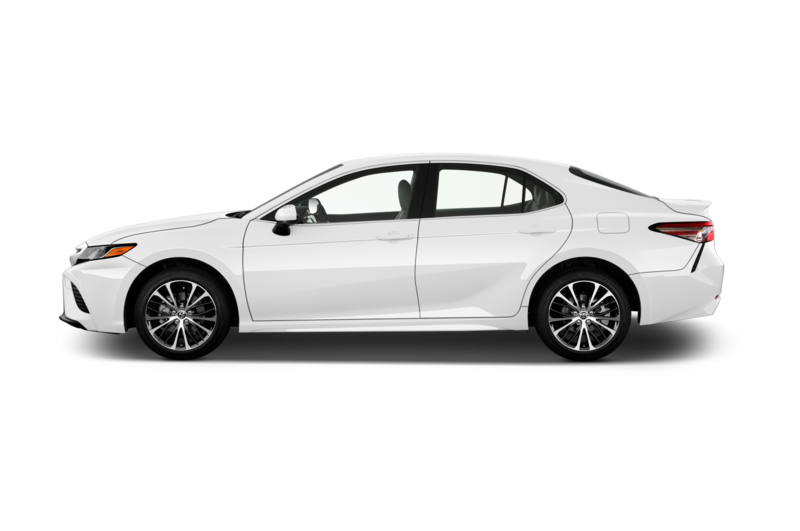 Soul stirrer? 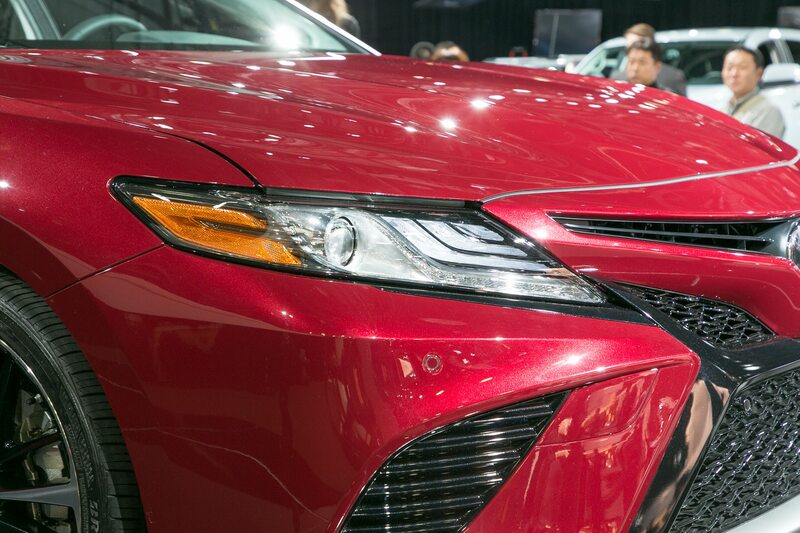 Well, we’ll have to get back to you on that. 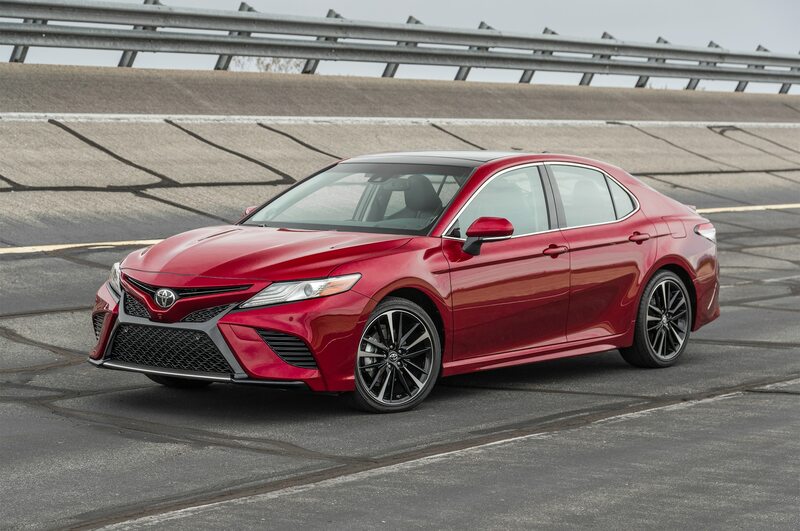 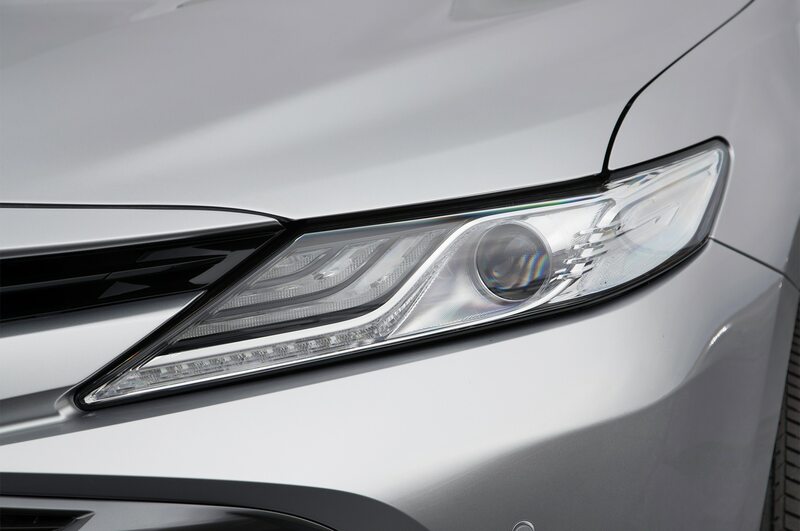 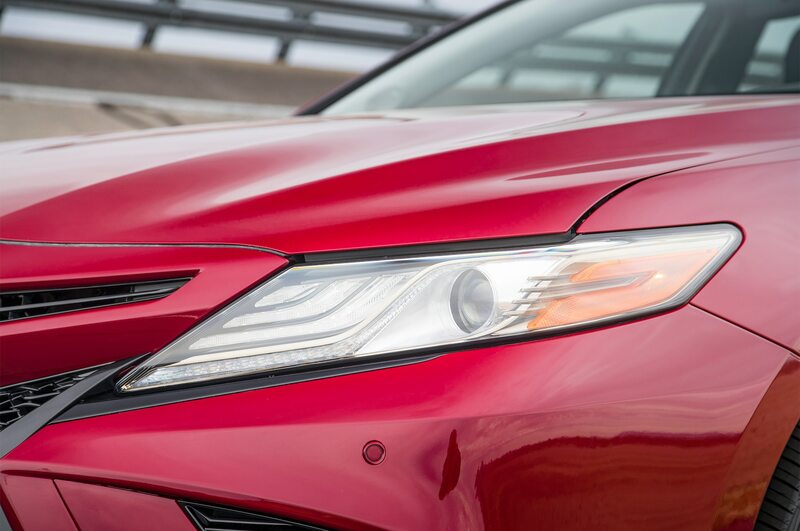 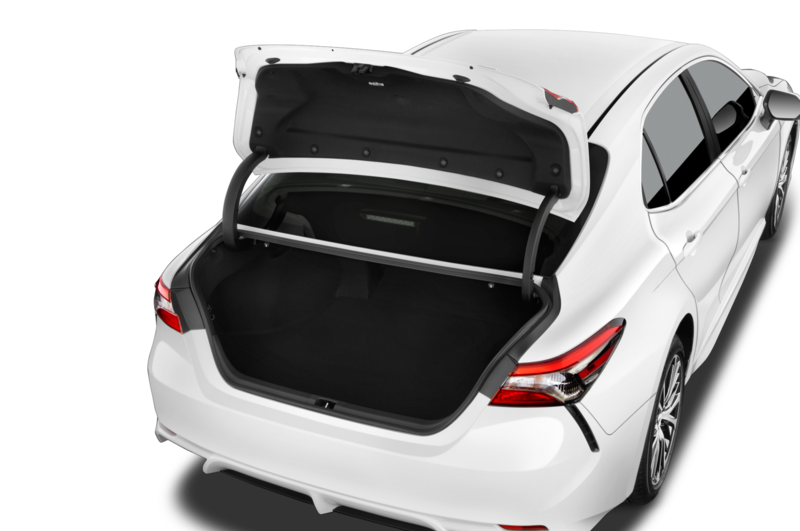 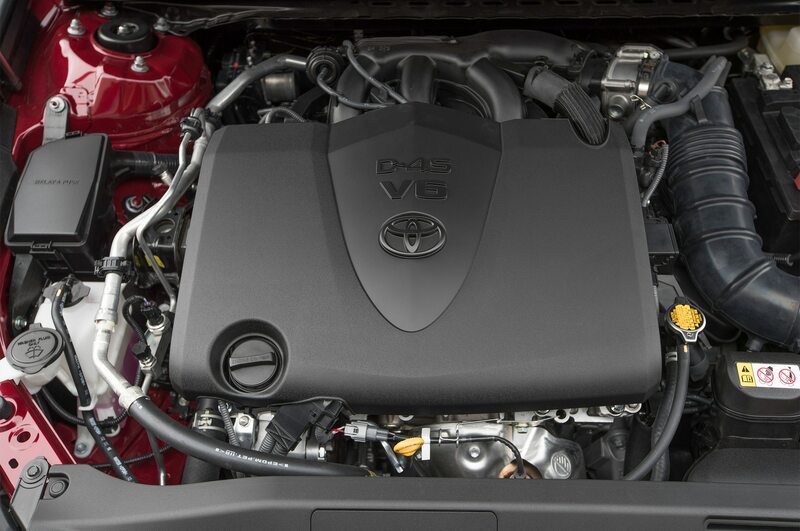 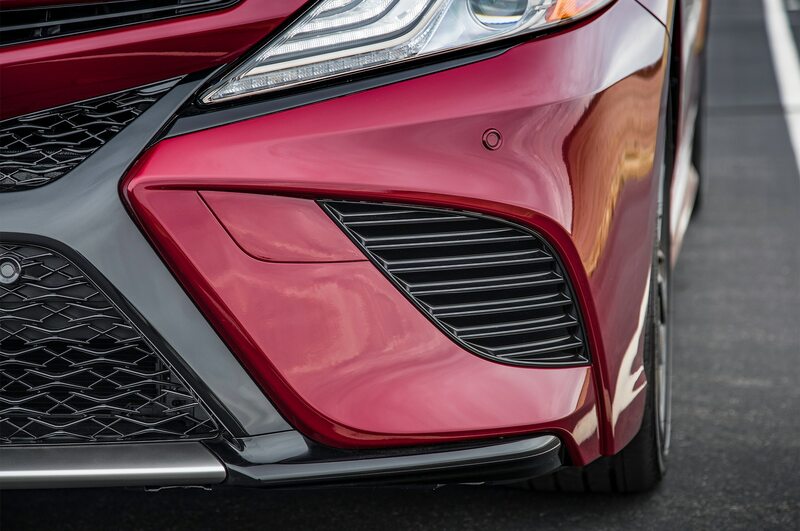 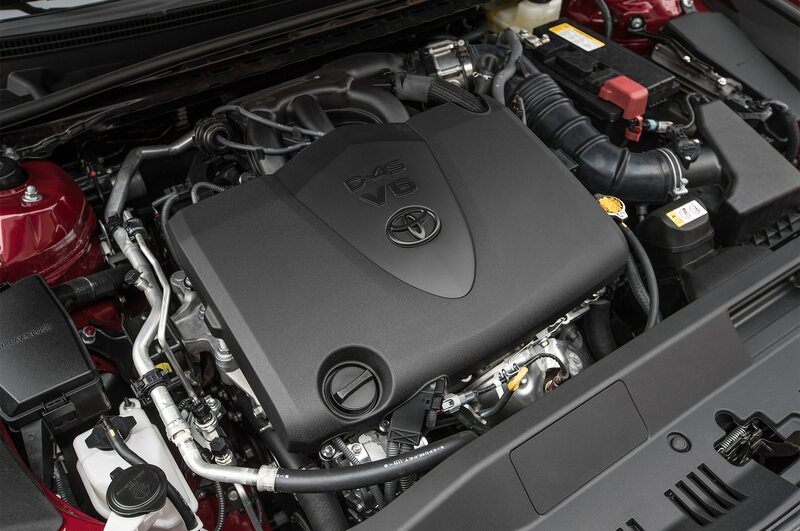 Outside, the latest Camry gets an “aggressive” facelift with a two-piece grille and a “keen” lower hood. 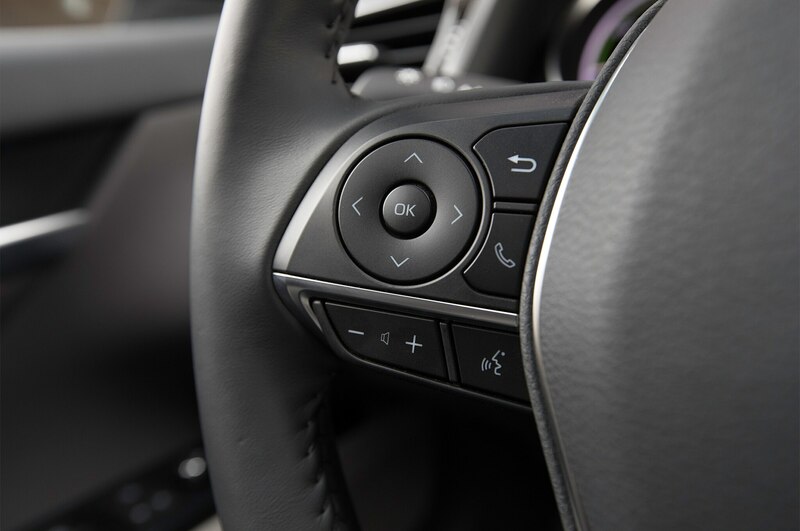 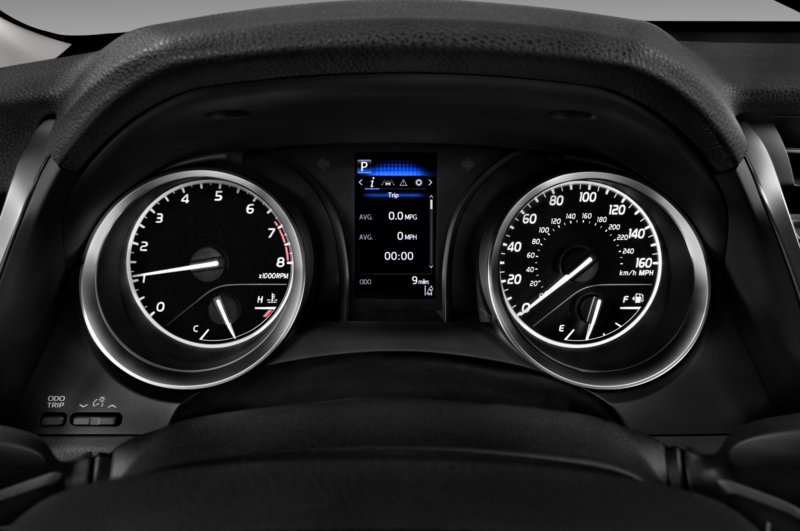 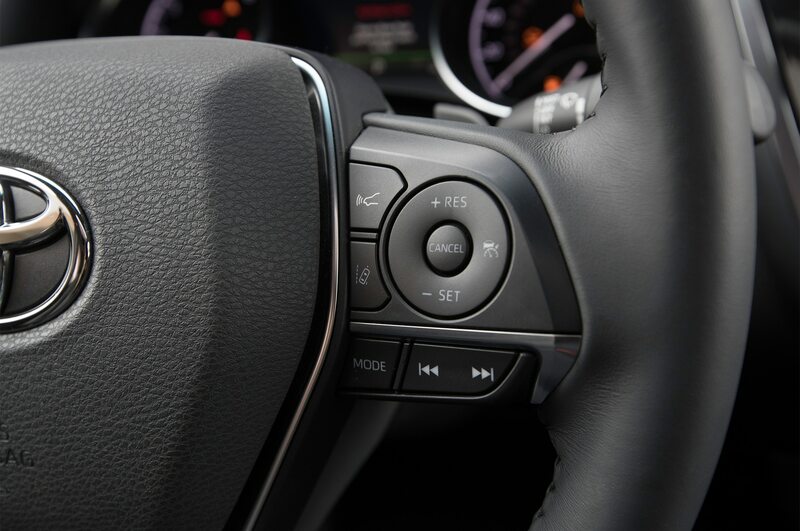 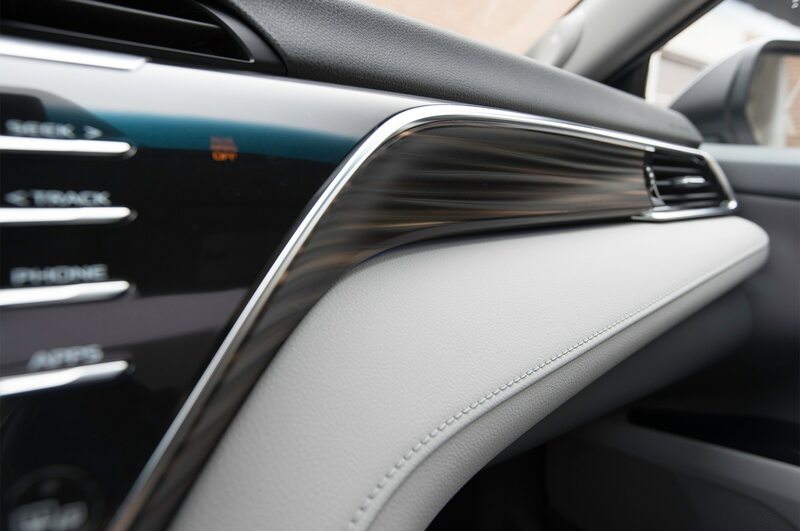 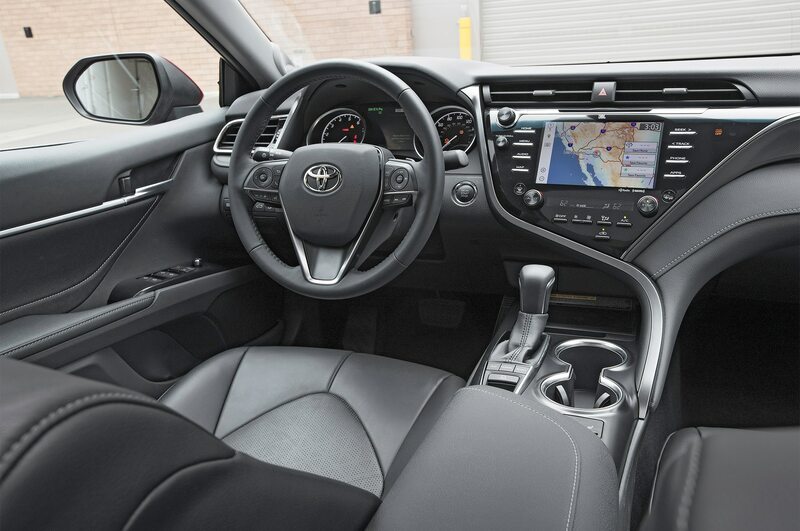 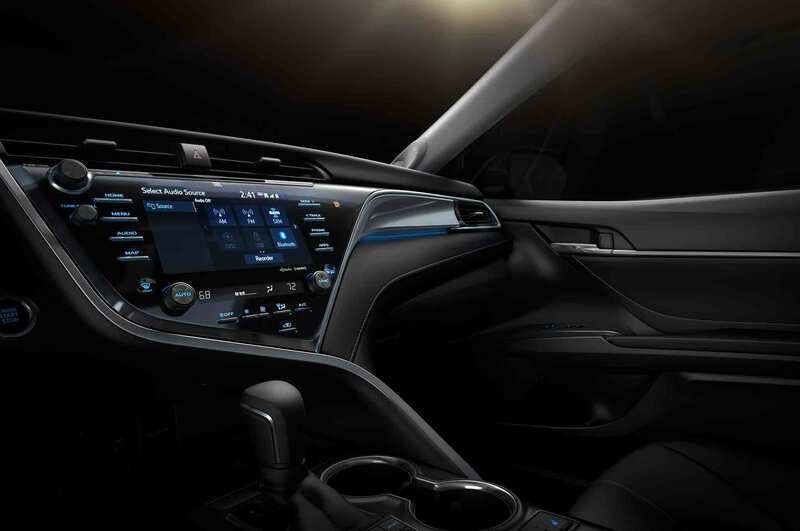 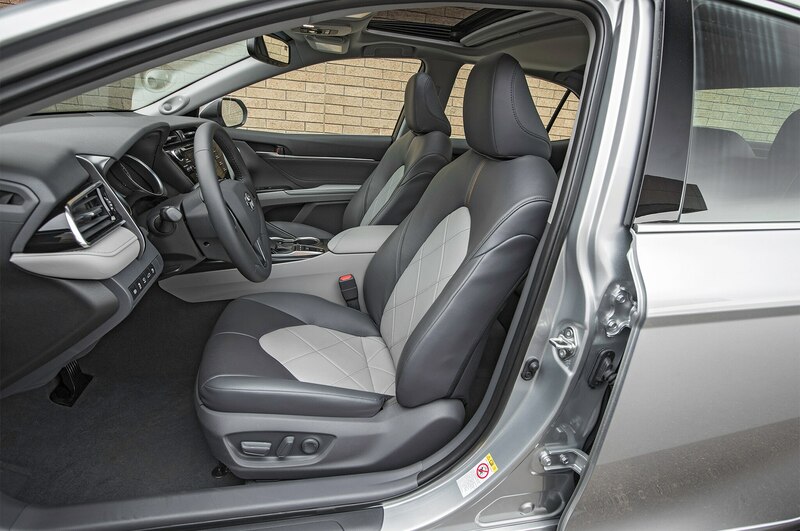 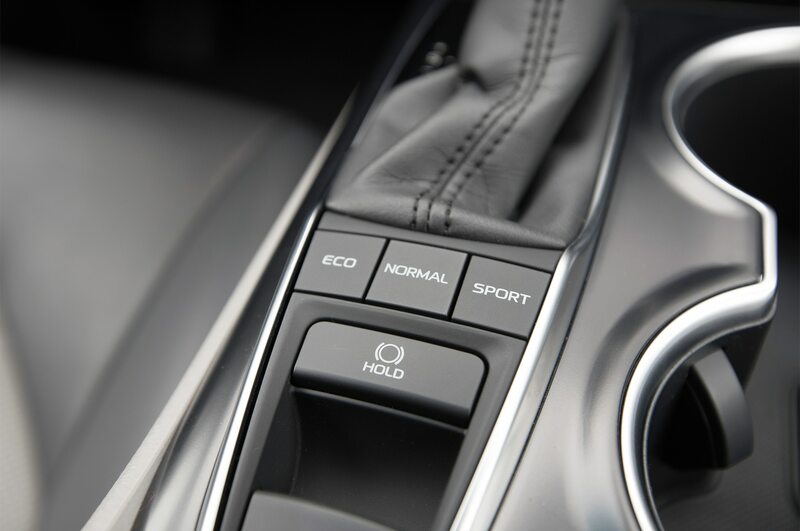 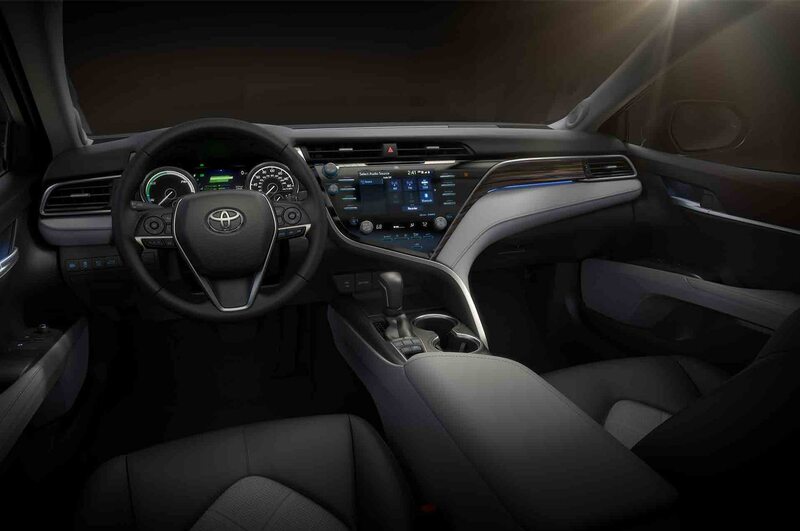 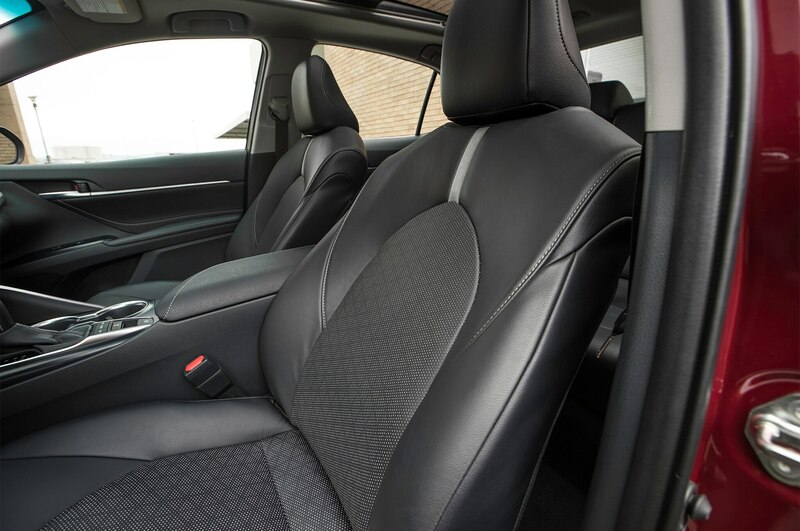 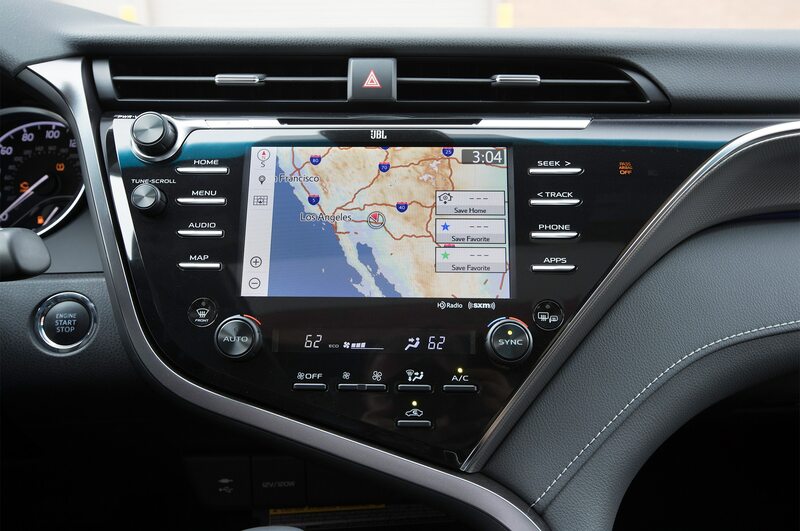 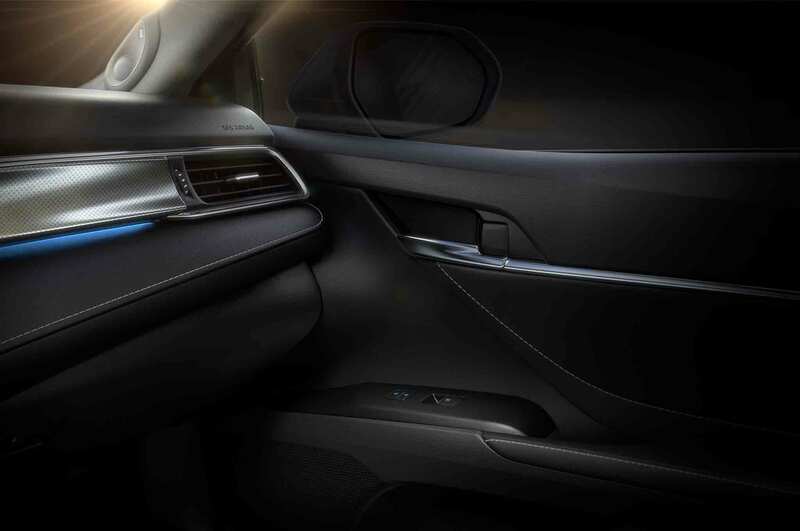 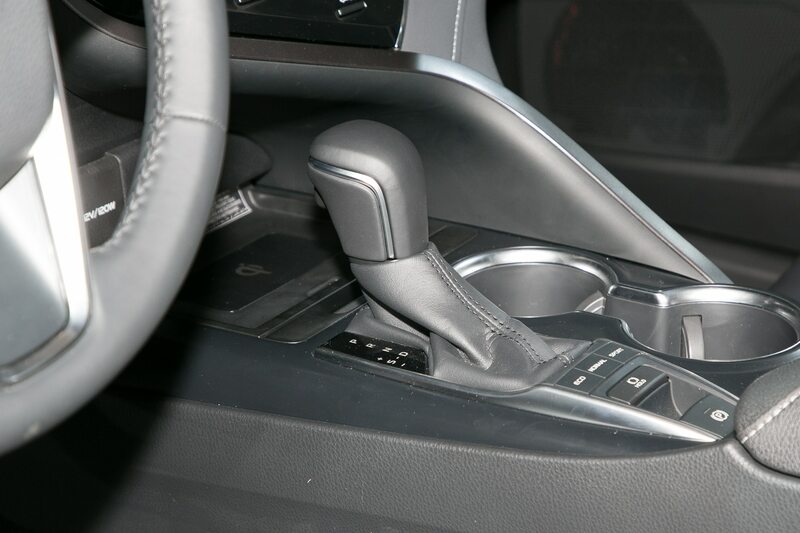 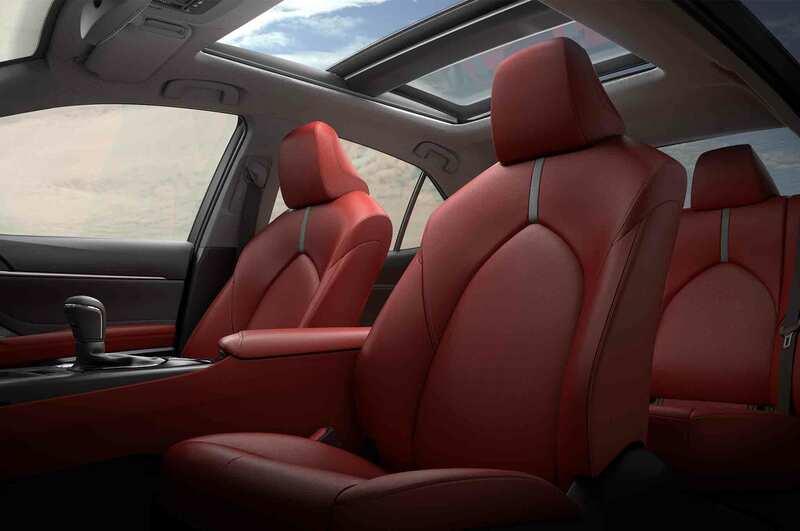 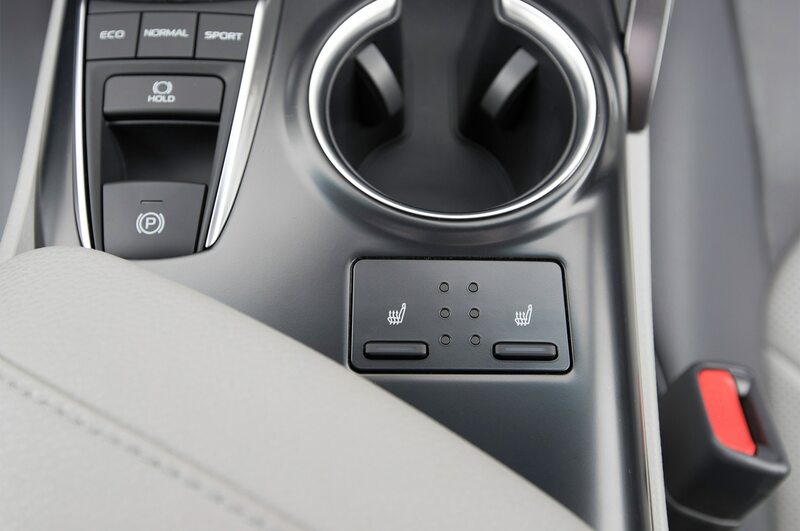 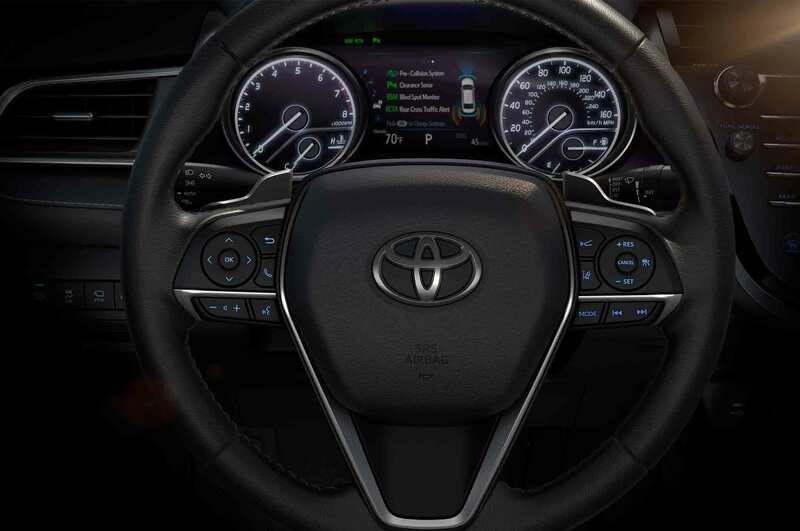 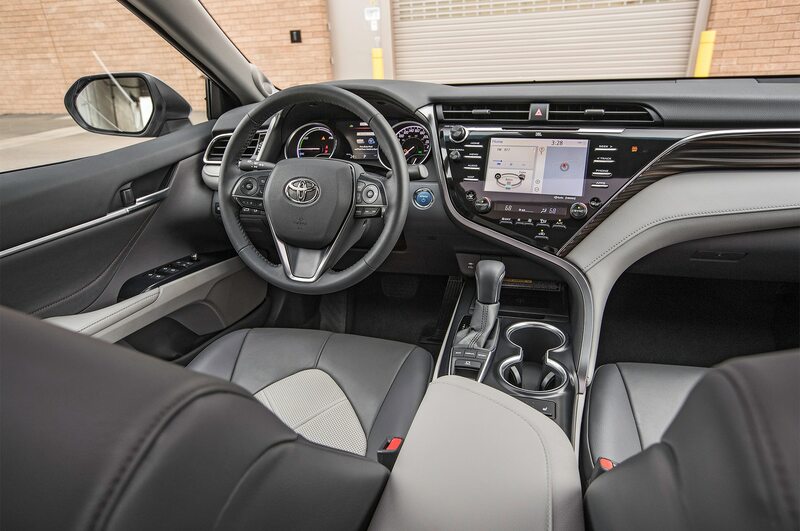 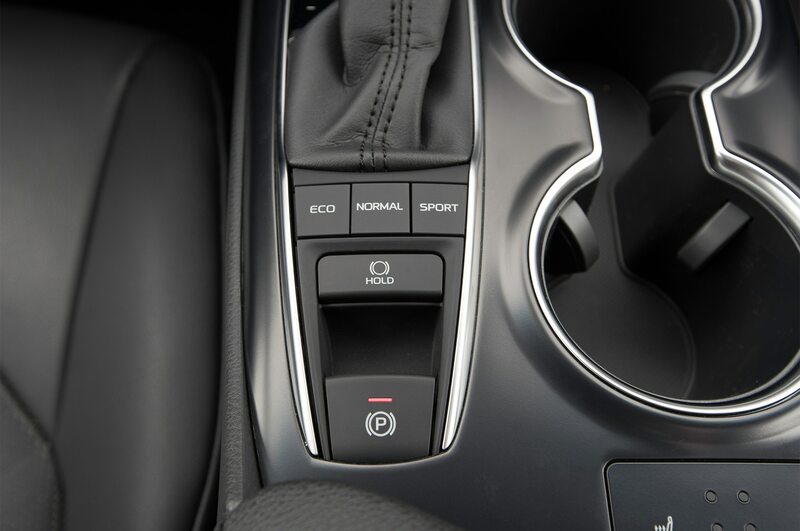 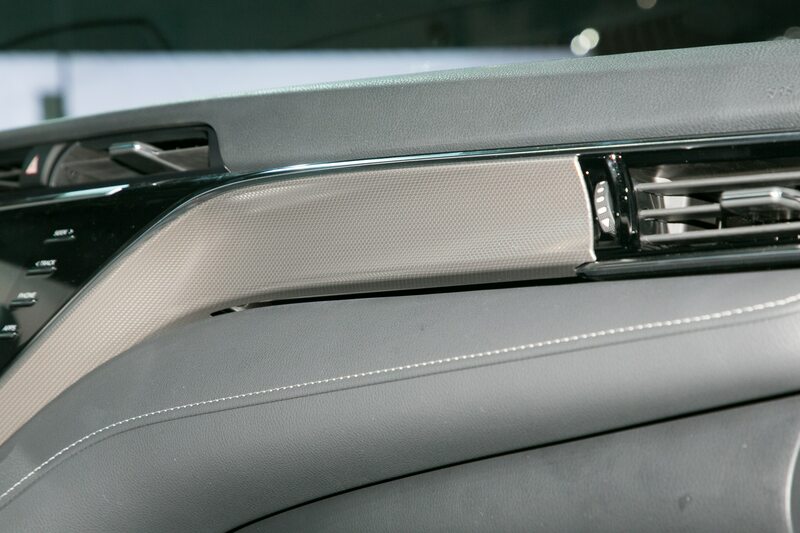 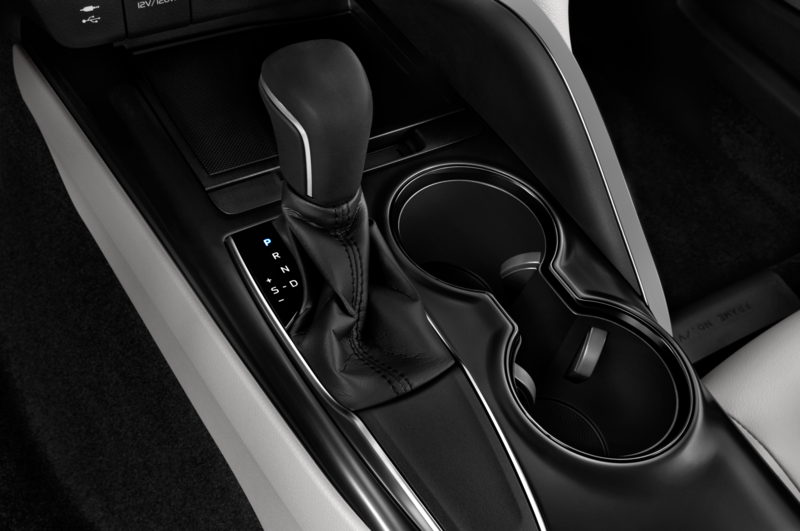 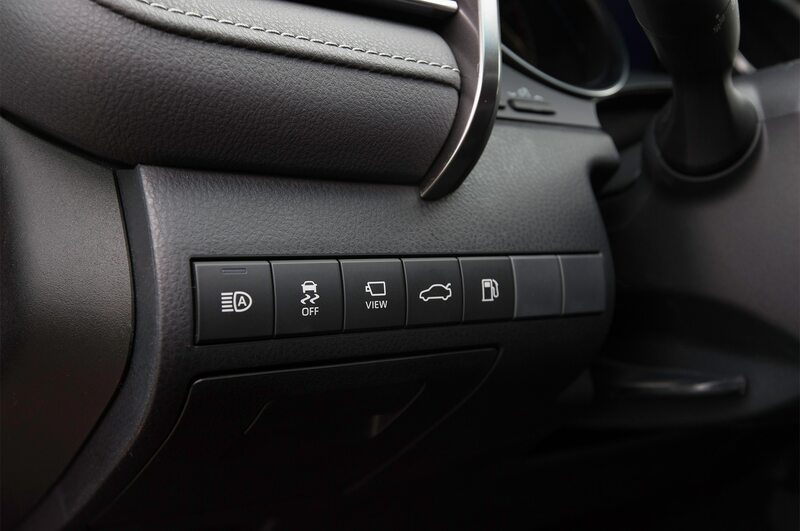 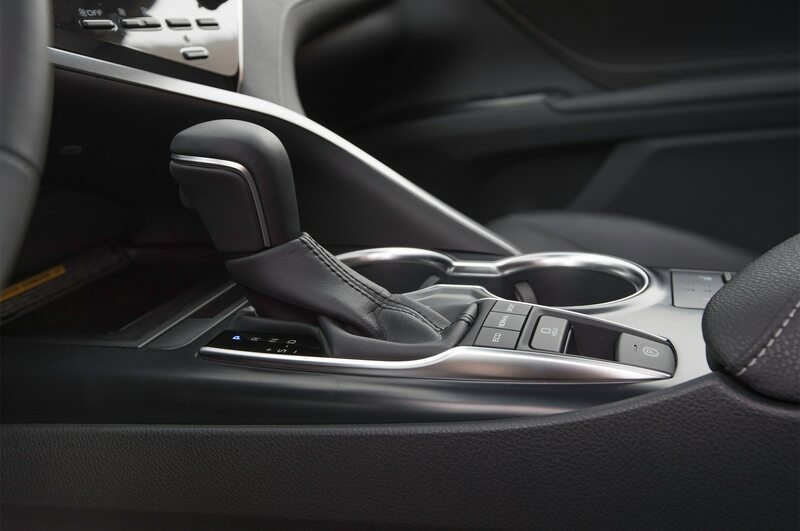 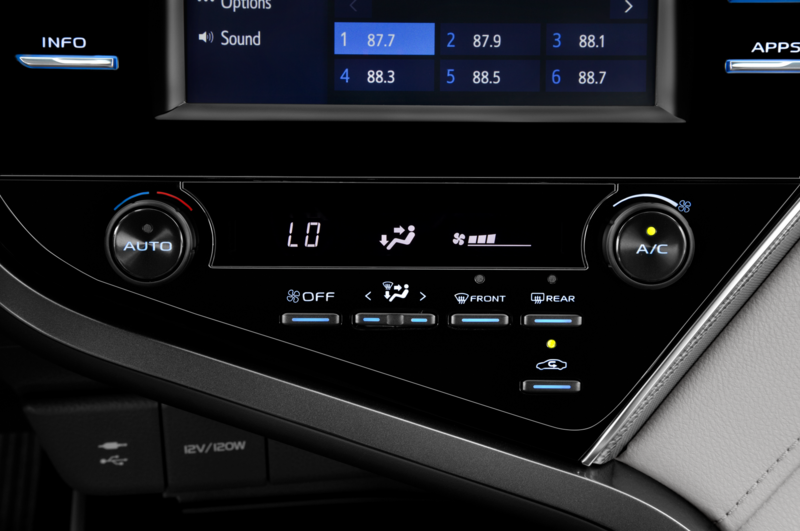 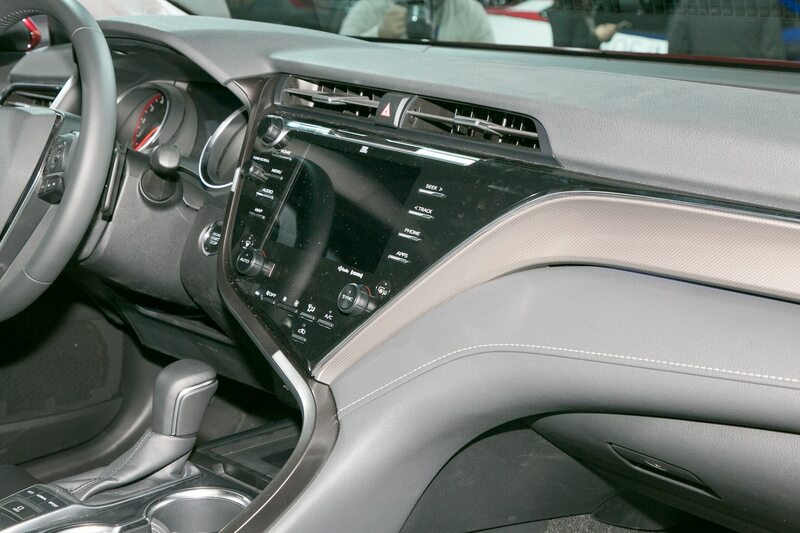 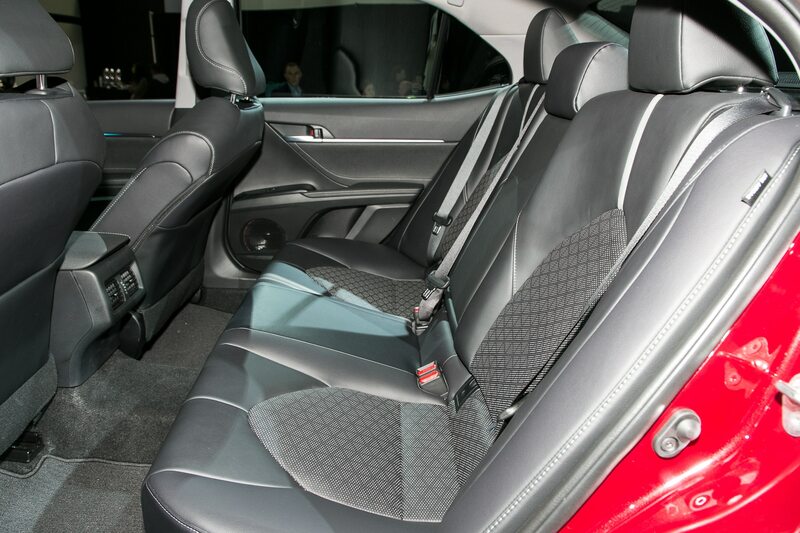 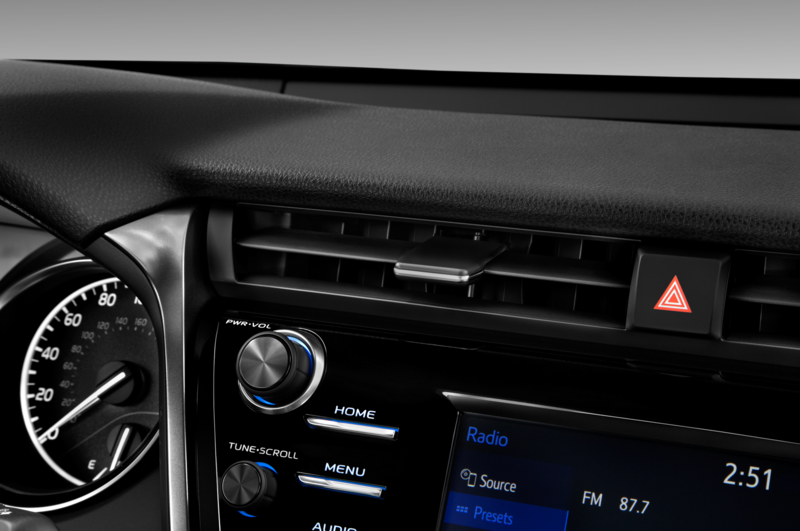 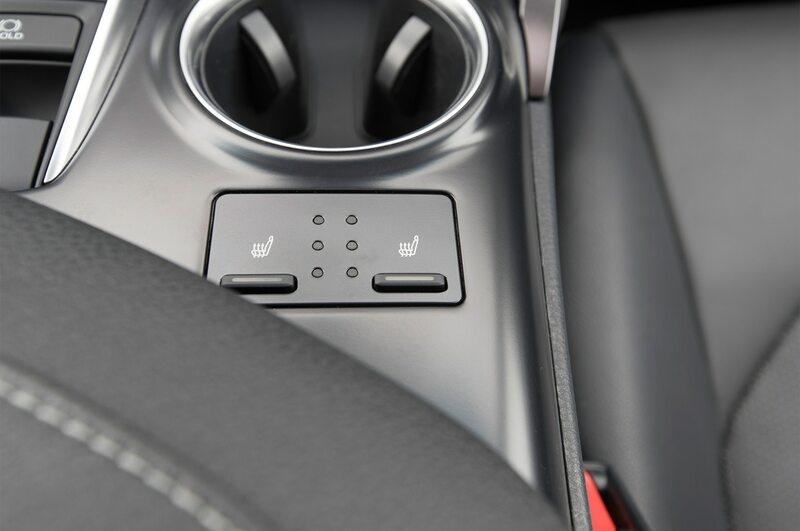 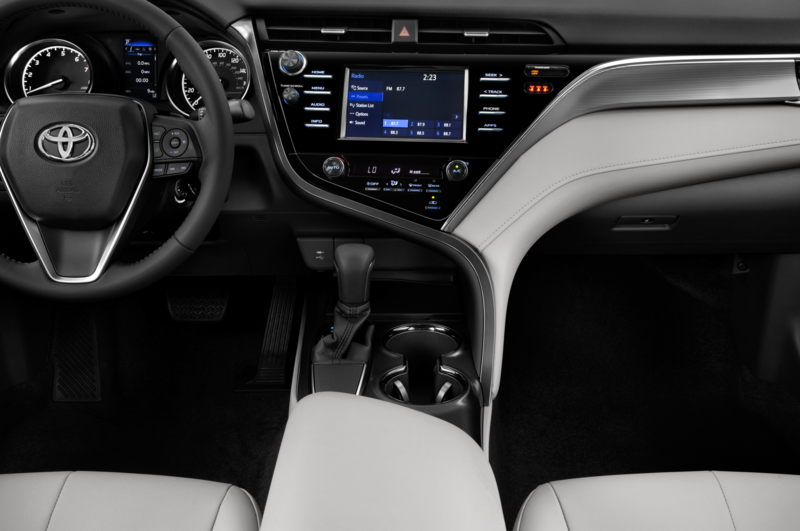 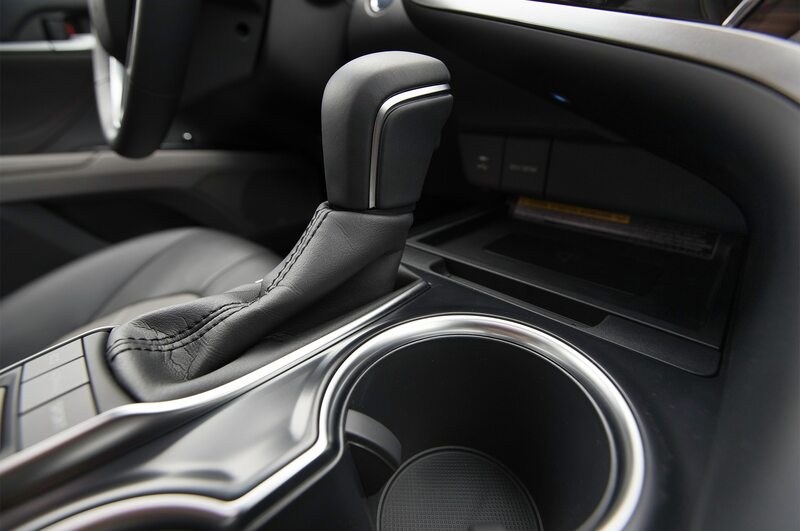 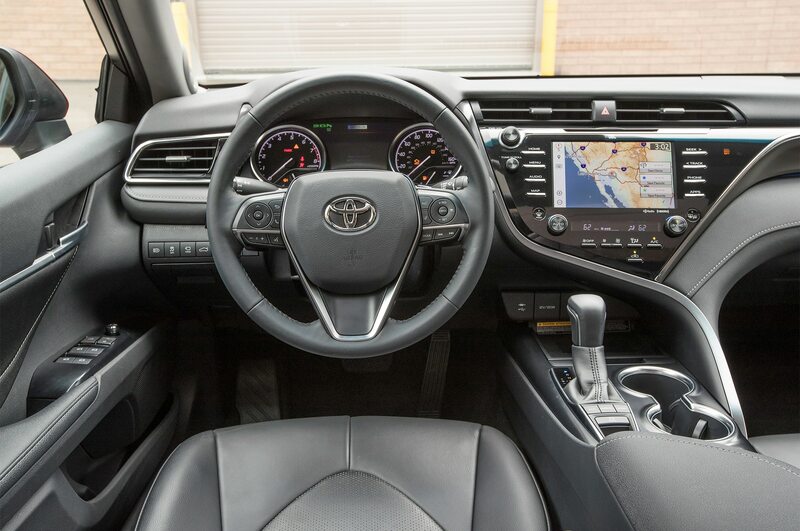 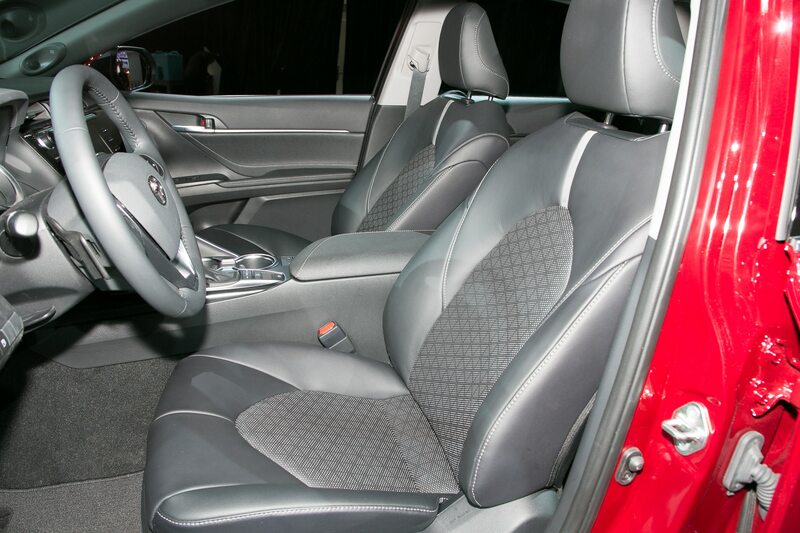 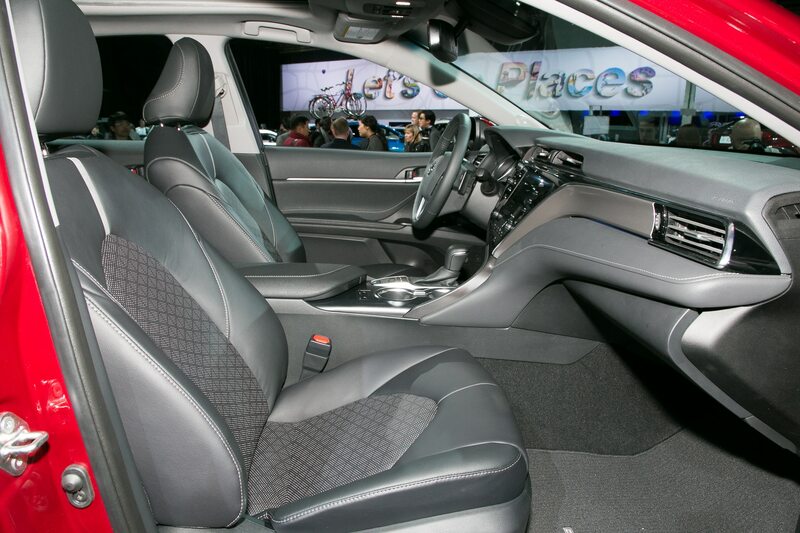 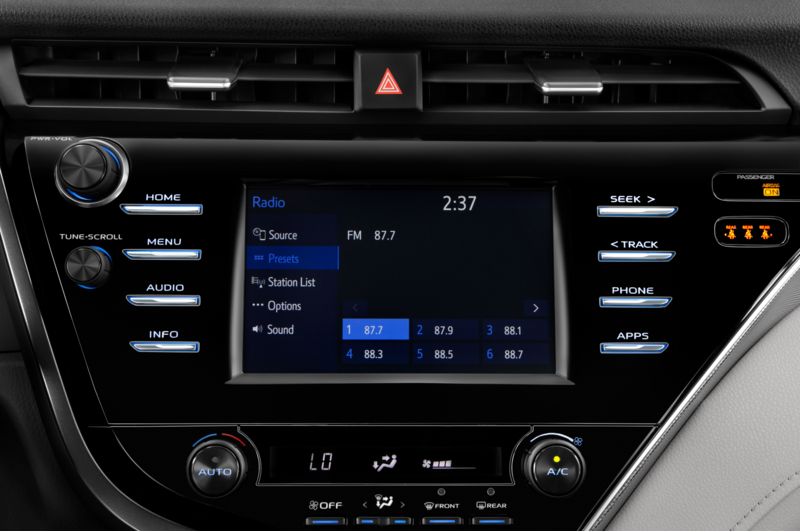 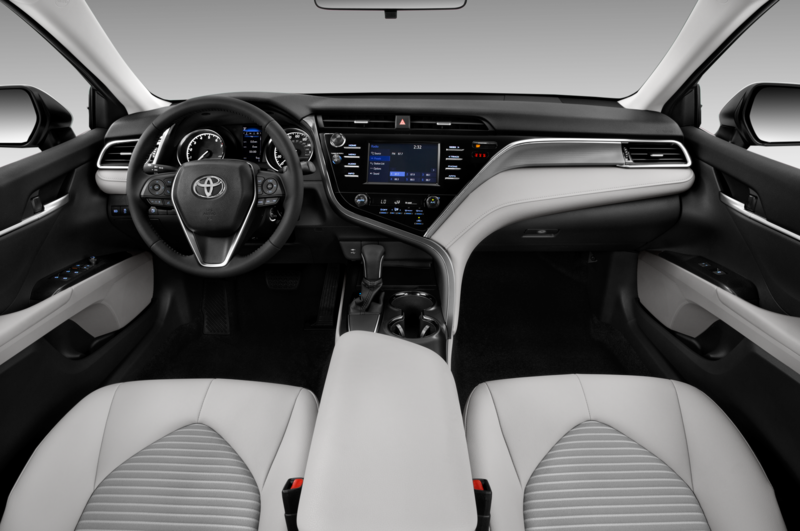 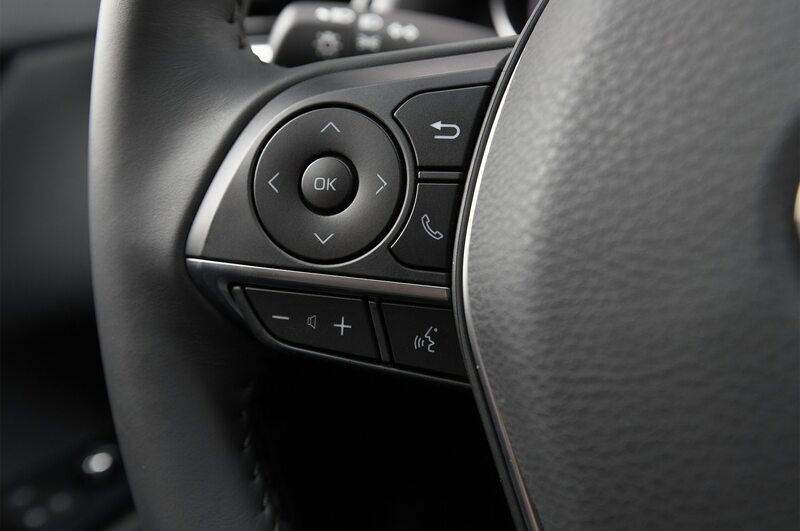 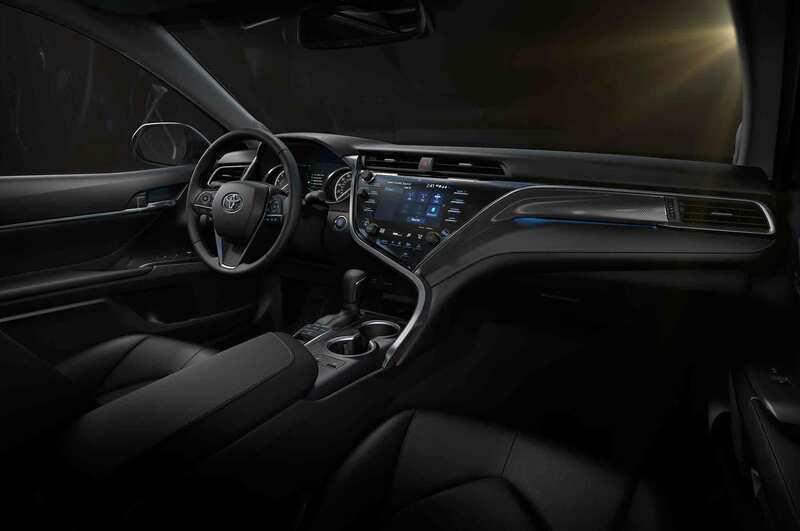 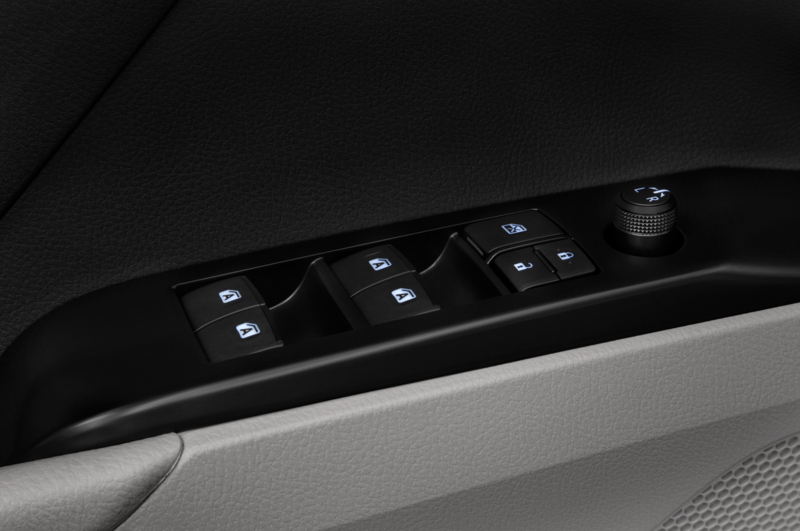 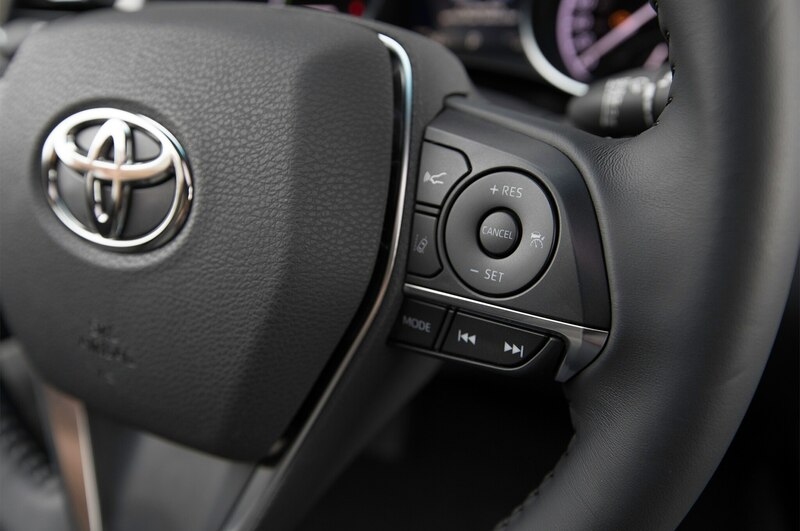 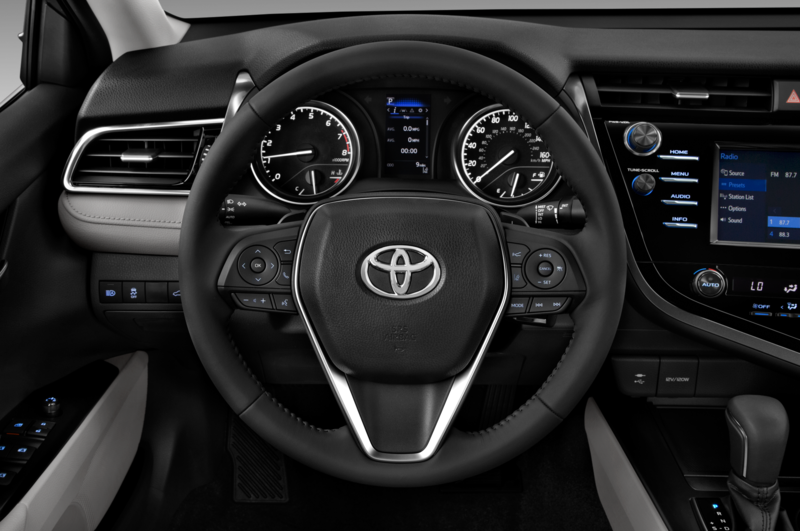 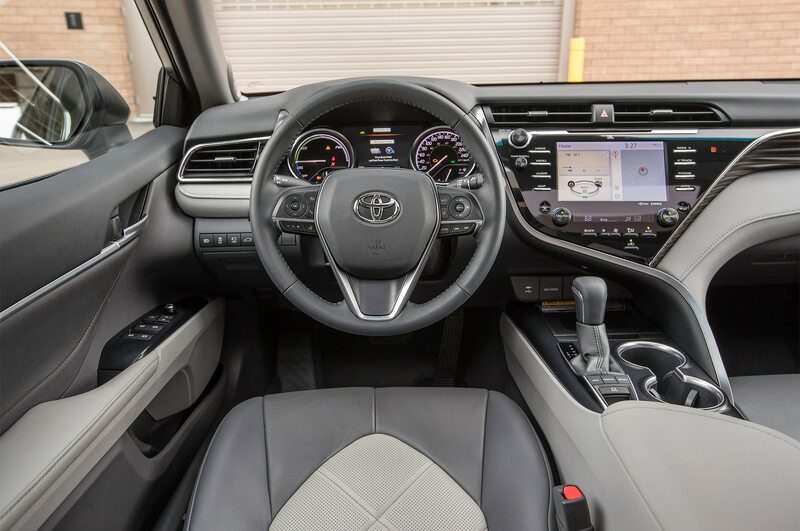 Inside, we are told the Camry has a lot going on with a 10-inch, eight-inch, and a seven-inch display in the instrument cluster and control panel. 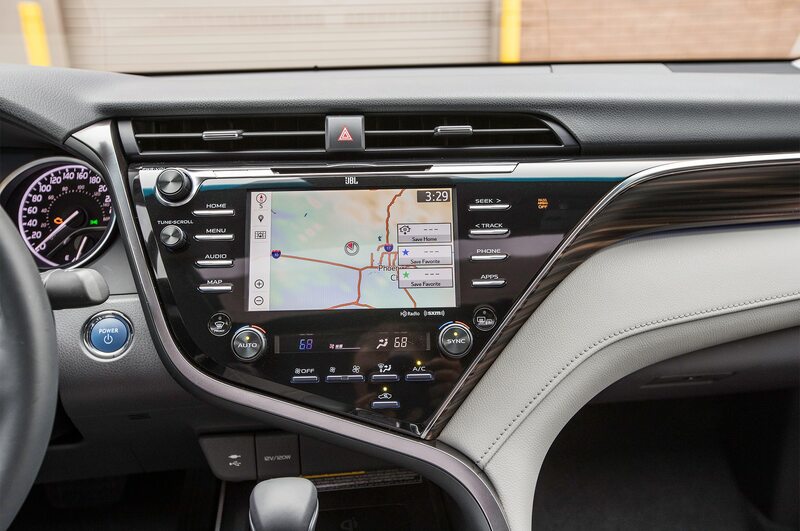 FYI: Our eyes hurt just thinking about all those little screens. 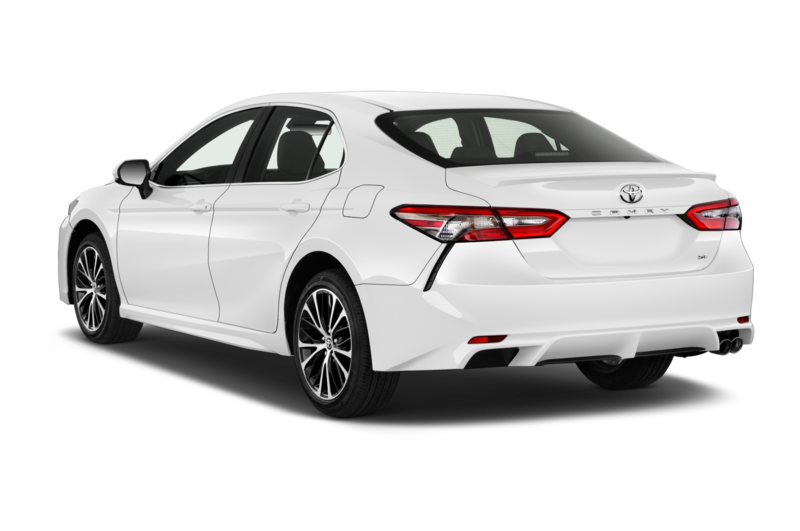 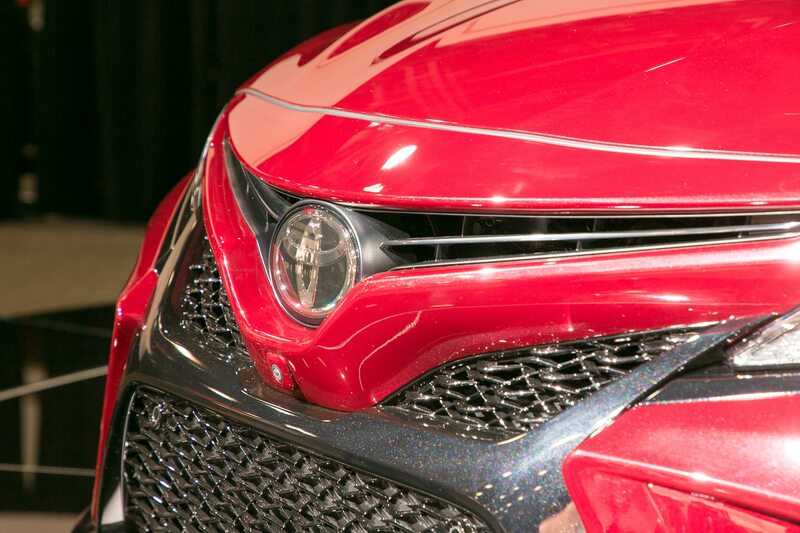 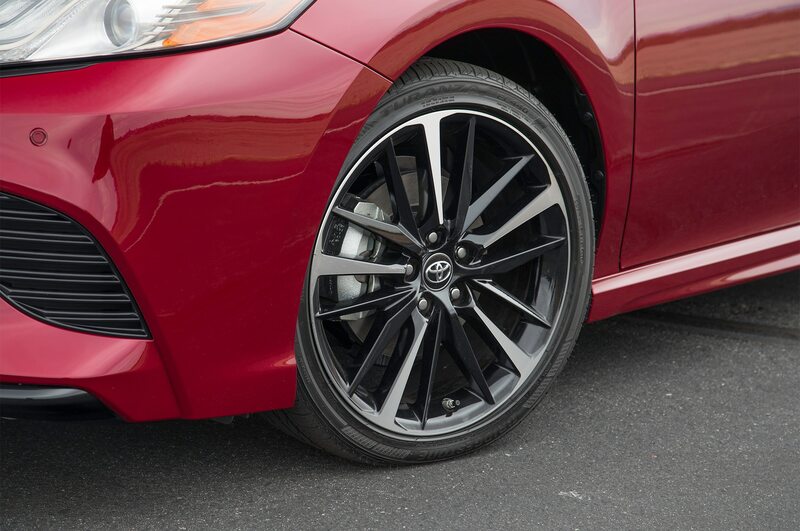 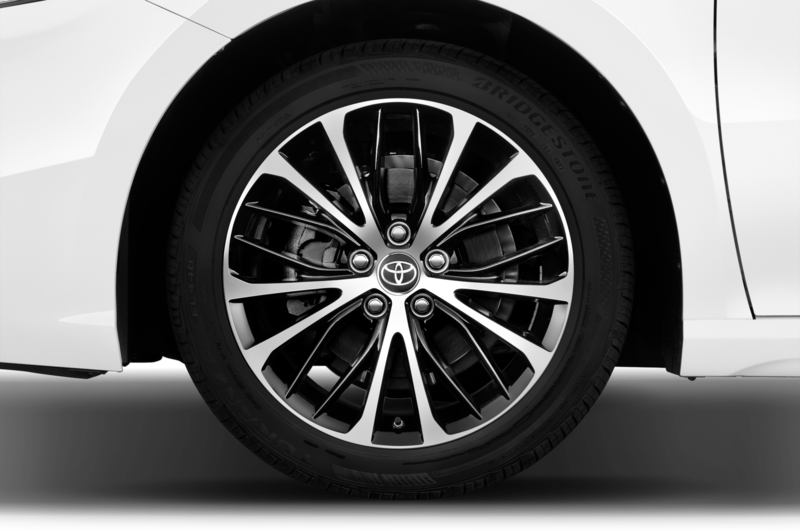 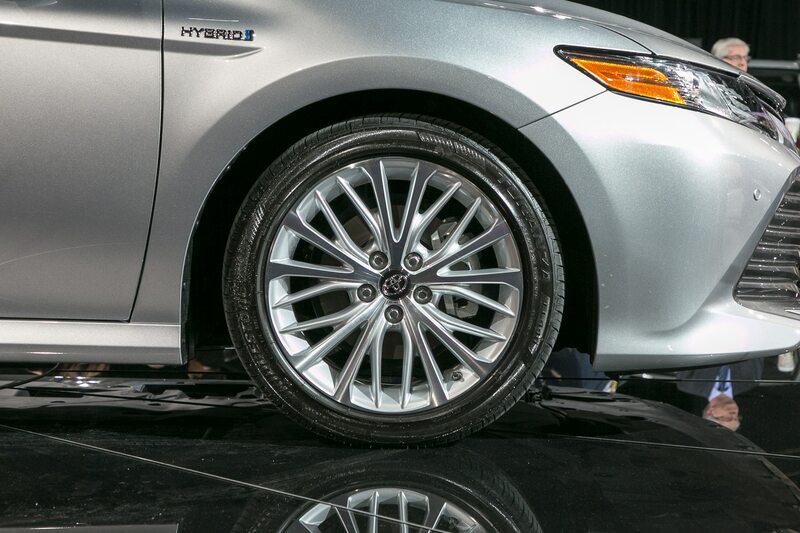 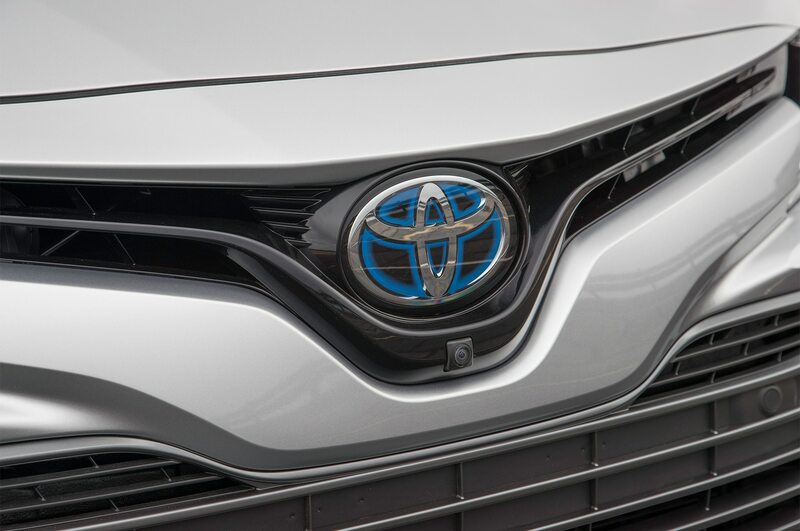 Toyota says the wheelbase was extended by two inches over the previous generation and the roof was lowered by an inch. 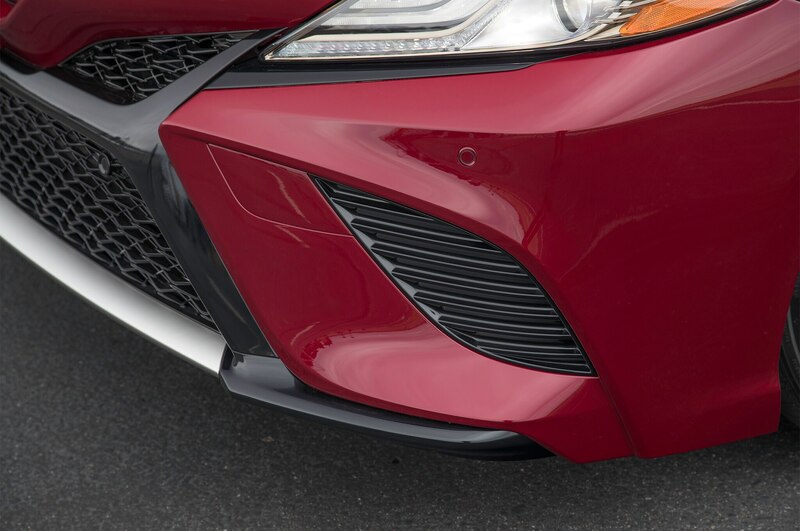 The new hood was also dropped by 1.5 inches. 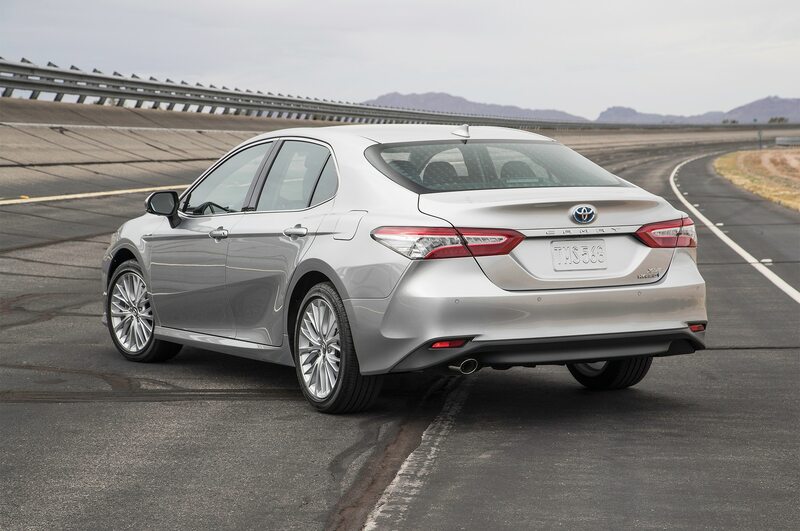 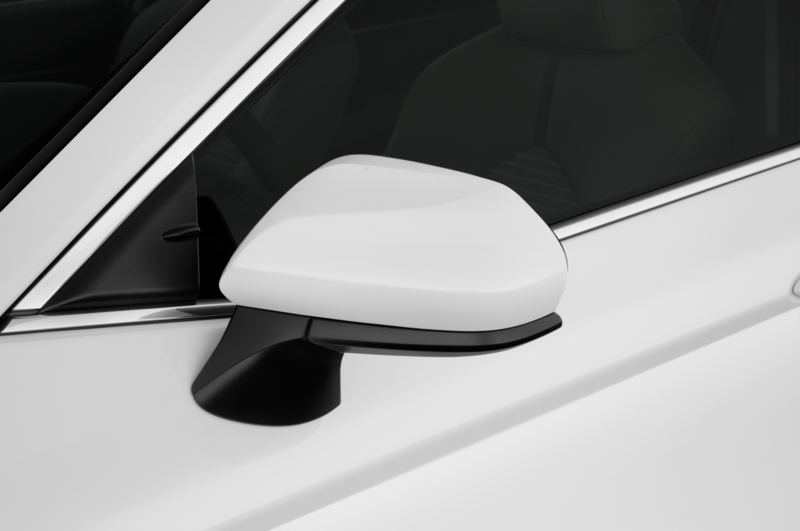 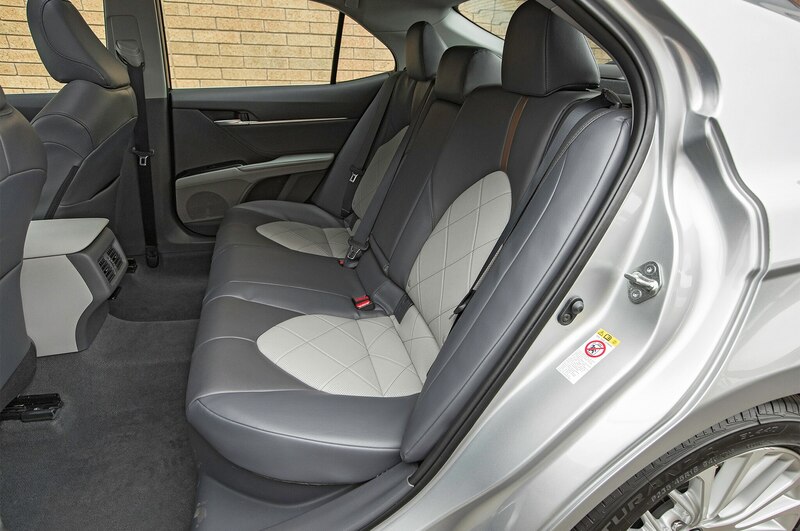 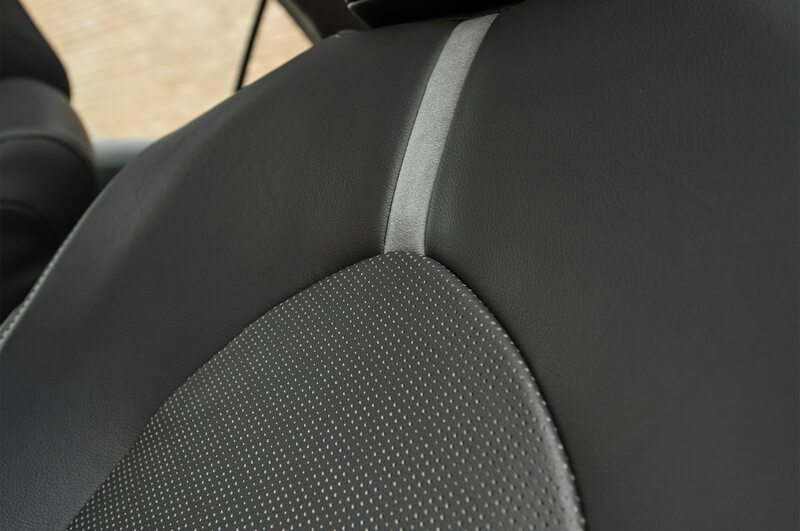 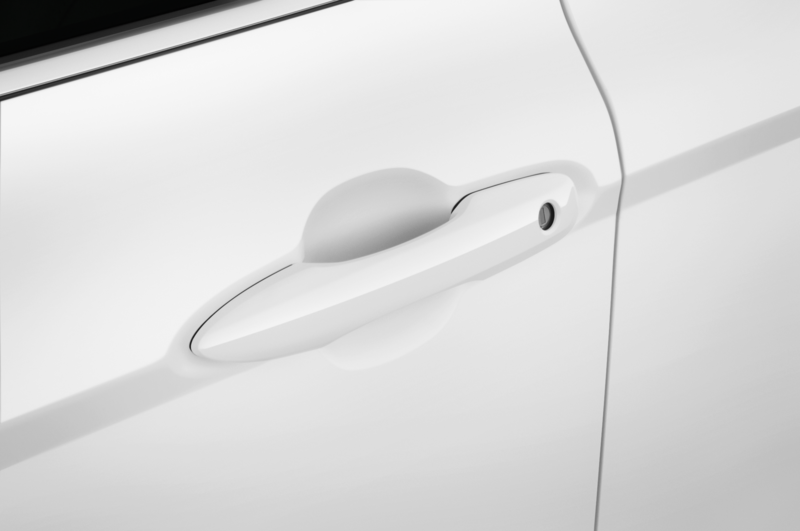 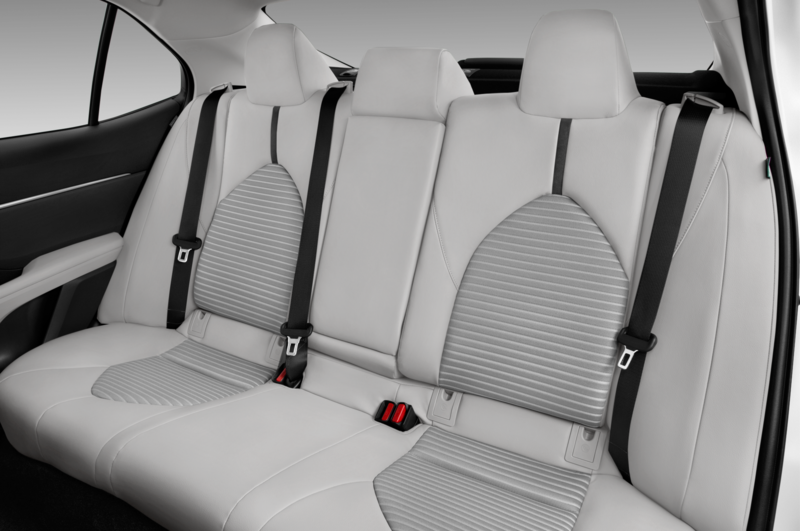 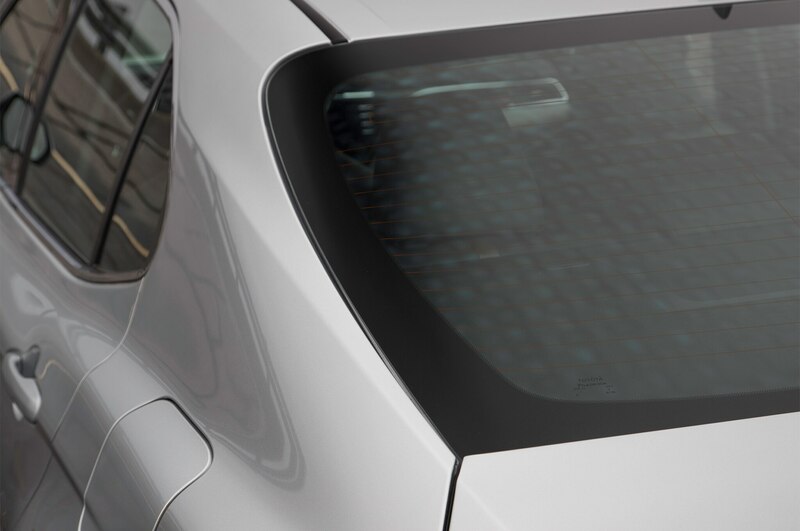 Ten airbags are standard on all Camrys and Toyota’s Star Safety System includes enhanced vehicle stability control, traction control, brake assist, ABS, and a backup camera. 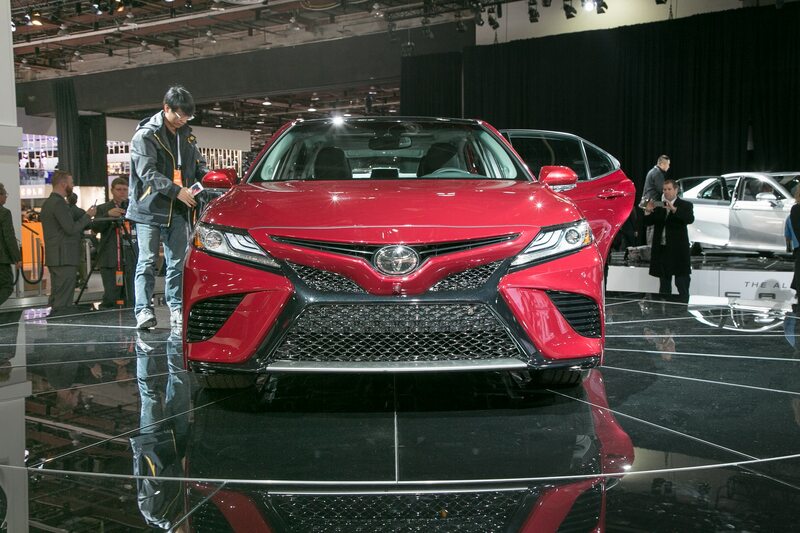 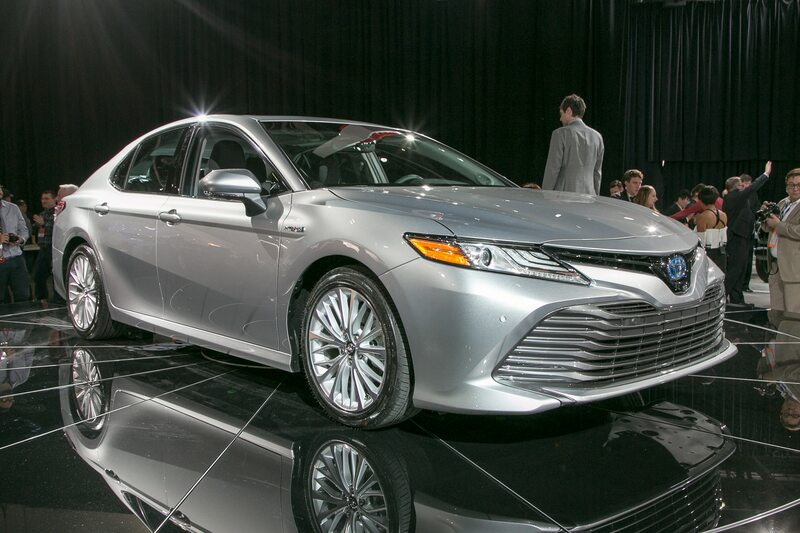 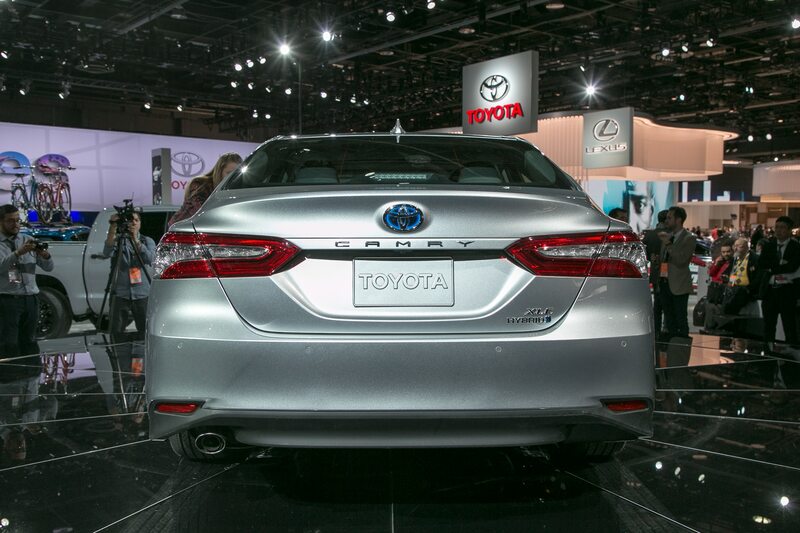 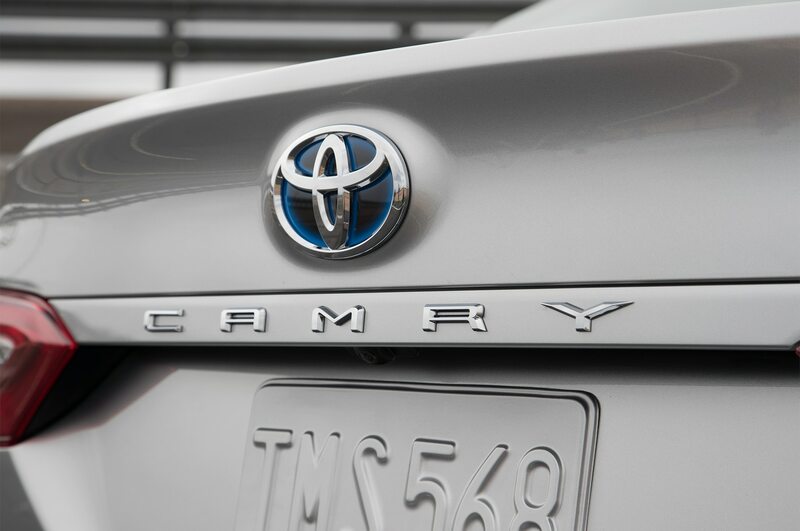 Toyota announced that the latest Camry should make its way into dealerships by the late summer.